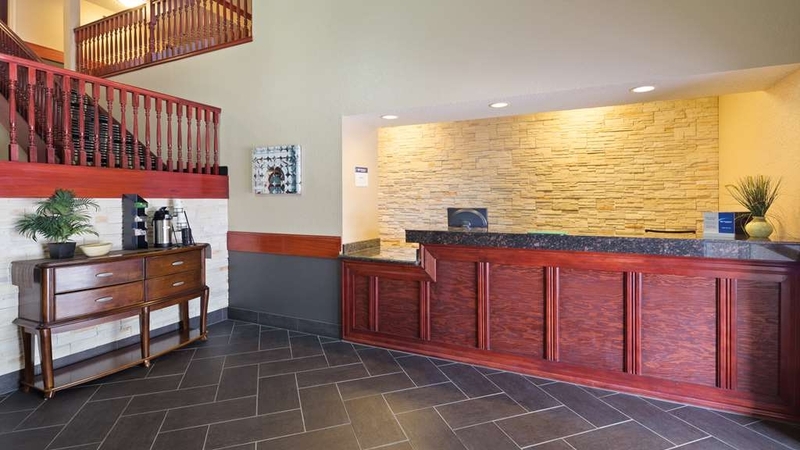 Das Best Western Pioneer Inn & Suites ist ideal in Grinnell Stadtzentrum zu finden. Erleben Sie ein schöner Aufenthalt in der Nähe von alle Sehenswurdigkeiten. Bestpreisgarantie und exklusive Angebote. Dieses Hotel in Grinnell, Iowa, liegt in der Nähe des Grinnell College. Das Best Western Pioneer Inn & Suites in ruhiger, abgeschiedener Lage bietet gut ausgestattete Gästezimmer und ein elegantes, komfortables Foyer. Reisende sind 1,5 km vom Flughafen von Grinnell und 88 km vom Flughafen von Des Moines entfernt. Hotelgäste erhalten täglich ein kostenloses komplettes Frühstück in unserem geräumigen Speisesaal und können kostenlos unseren High-Speed-Internetzugang nutzen. Das Best Western Pioneer Inn & Suites bietet einen schönen beheizten Innenpool. 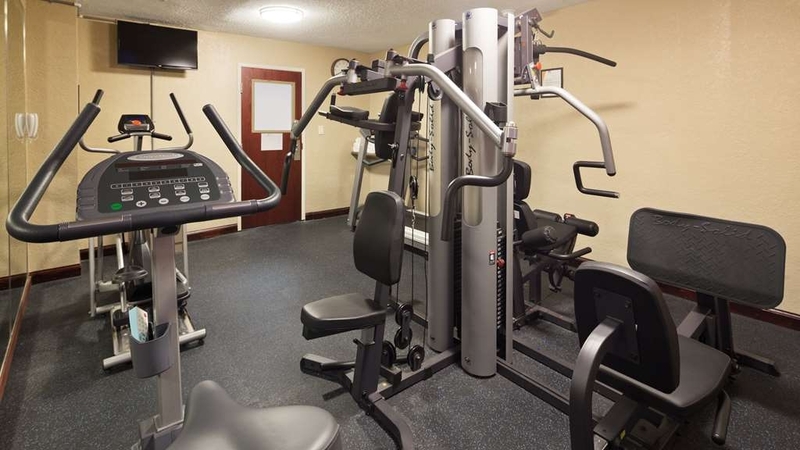 Zur weiteren Hotelausstattung gehören ein Wannen-Whirlpool und ein gut ausgestatteter Fitnessraum. Dieses Hotel ist 5 km vom Grinnell College und dem Iowa Valley Community College entfernt, und auch zur Buena Vista University und dem Marshalltown Community College ist es nicht weit. Hotelgäste können NASCAR-Veranstaltungen auf dem 19 km entfernten Iowa Speedway sowie weitere Veranstaltungen auf dem Knoxville Raceway besuchen, der 32 km entfernt ist. Das Skigebiet Fun Valley, Adventure Land und der Freizeitpark Six Flags® liegen ebenfalls in der Nähe. Reservieren Sie noch heute zu einem günstigen Preis im Best Western Pioneer Inn & Suites! Close to the highway with a great steak house next door. Are currently renovating so can be noisy in the mornings. Wasn't the best hotel we've stayed at. Expected more from a Best Western. Breakfast room was very messy and no attendants we're to be seen. 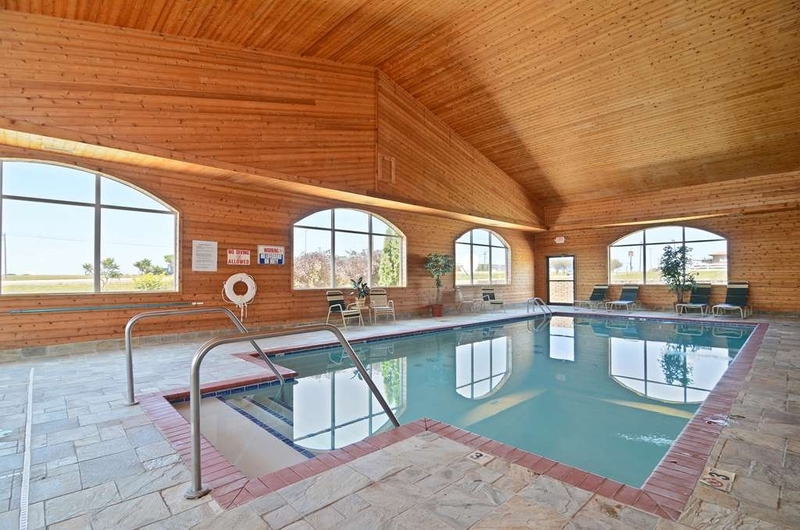 We had a great stay here during the MWC Swim Championships mid Feb. 2019. My daughter and I stayed at a lower priced hotel across the street six months again and that will never happen again. 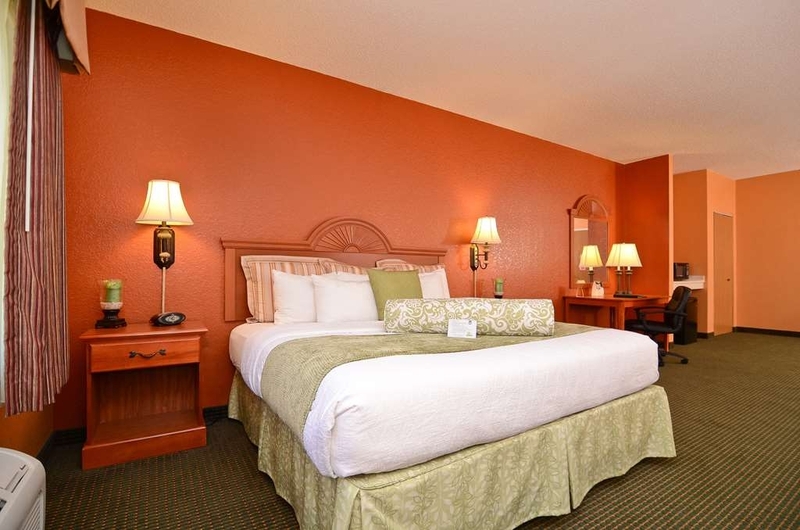 I booked this stay for my family after working with the hotel for work. The customer service is fantastic. I will say every time I called they were very friendly and willing to help answer any questions I had. When we arrived the staff was friendly and all staff was friendly, not just the front desk. There were two swim teams that stayed here and it was not loud at all throughout the night and day when everyone was about. The facility is clean and breakfast was good. I think the hotel is a bit older and there are two buildings but it's clean, staff is friendly and rooms are comfortable. I will be staying here for the next few years when we visit Grinnell. It was worth paying a bit more for top of the line service and feeling safe while we were there. It's also convenient having the gas station and Subway next door. This was a great place my brither came down to spens the weekend for his birthday, we went to the pool qnd it was excellent probably the biggest pool ive been in, in a while. Front desk/ customer service was very nice. Breakfast was amazing as well. Great experience each time at Grinnell Pioneer Best Western. They are now our home away from home during Grinnell men's basketball season. Rotating hot options for breakfast. Updated, comfy, clean rooms. Friendly accommodating staff. 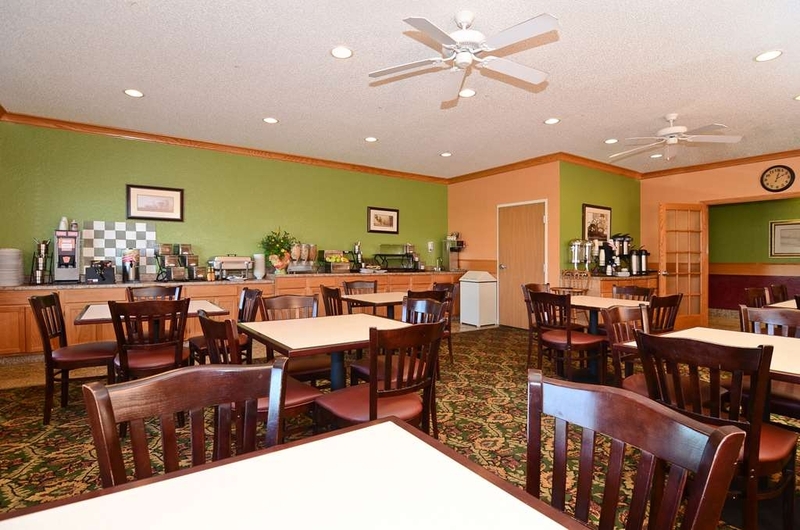 Hotel is comfortable and clean very nice desk personnel it's right off highway 80 they got the pool, workout room but the breakfast is great multiple options it's ready at 5am which is not that common and the breakfast host Thomas is very good at his job! Thank you for completing the survey regarding your recent stay at our property. Thank you for give us score 5 out of 5.Your business is very important to us and we value your feedback. By telling us what you liked about your stay and how we can improve, you are helping us deliver a superior experience for you and other guests in the future. We hope you will come back and see us again soon. If I can be of assistance in the future, please don't hesitate to contact me at 641-236-6116.Thank you again for taking the time to complete the survey. We appreciate your loyalty to our brand. We chose this hotel because of its location next to a little steakhouse and are very happy we did. We were well taken care of my the front desk clerk who gave us a room only two doors from an exit so we were able to bring our luggage in and out again with very little trouble. There was a little smoking area with a picnic table which I appreciated. I had the swimming pool to myself for a few laps - and there is a hot tub, as well. The steakhouse is right next door so we were able to enjoy our wine and walk to the room after. We had no problems. This isn't a fancy hotel, but the rooms are adequate and will work great for quick college visits or short business trips. 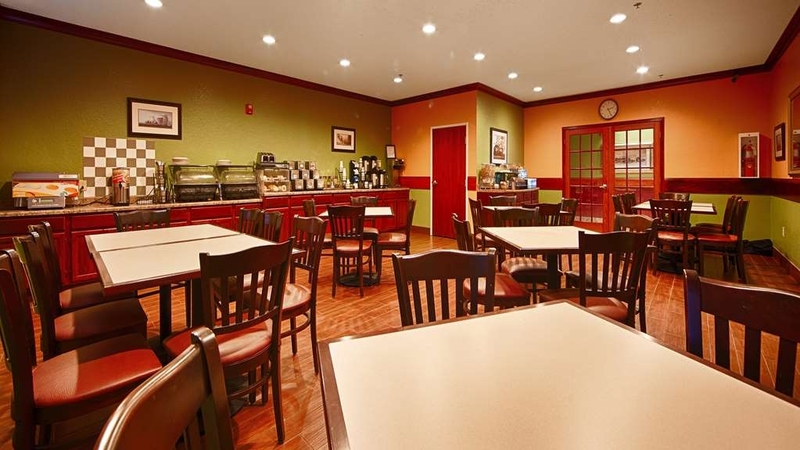 The breakfast is pretty standard and the location is great right off the highway. Not walkable to town or campus, though. The staff was very easy to work with. We had to shorten our stay and they made the change without any problem. The rooms are definitely a little dated. We stayed in the separate building because they told us it was the only one that had the larger room with two beds and a pullout sofa. The pool was convenient to use, even though it was in the main building across a small parking lot. Thank you for completing the survey regarding your recent stay at our property. Your business is very important to us and we value your feedback. By telling us what you liked about your stay and how we can improve, you are helping us deliver a superior experience for you and other guests in the future. We hope you will come back and see us again soon.If I can be of assistance in the future, please don't hesitate to contact me at 641-236-6116.Thank you again for taking the time to complete the survey. We appreciate your loyalty to our brand. "Clean and Comfy Overnight Hotel"
Management has really made an effort to update the rooms with stylish decor and amenities. Breakfast was the typical chain hotel buffet fare, but well done. Our family has stayed at other properties in Grinnell many times before, but Pioneer Inn will be the hotel we choose in our future stays. "Great employees, great place, but..."
We checked in late, and the front desk staff was great. 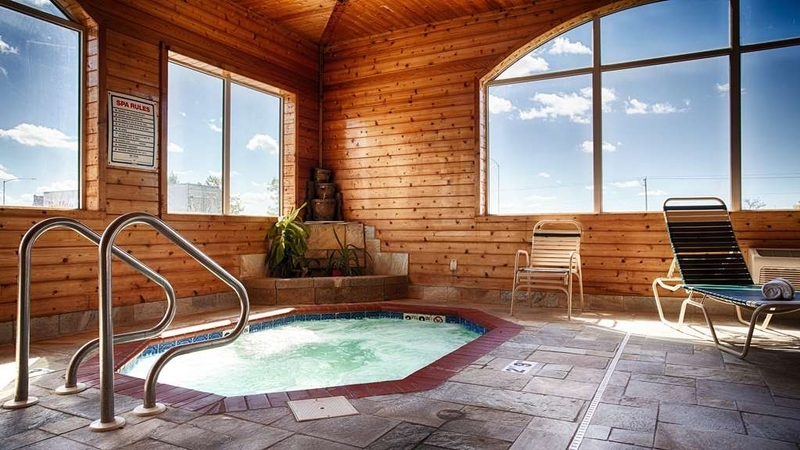 She even offered to let us use the pool and hot tub a bit later than the posted hours. Thomas in the breakfast room was exceptional in every way. Personable, engaging, and accommodating. Kept everything clean, filled, and asked how everything was. Awesome job. Room was clean and comfortable. The hallways looked a bit beat up, and there were stains on the carpet, but we didn't sleep in the hallway, so that didn't matter. The WiFi was on, but extremely weak, so I used my hot spot off my phone to get my work done. My one "but" is the lack of security. We stayed in the set of buildings that was separate from the main building, and not one of the outside doors required a key to enter. Even the workout room had a lock on it that was inoperable. 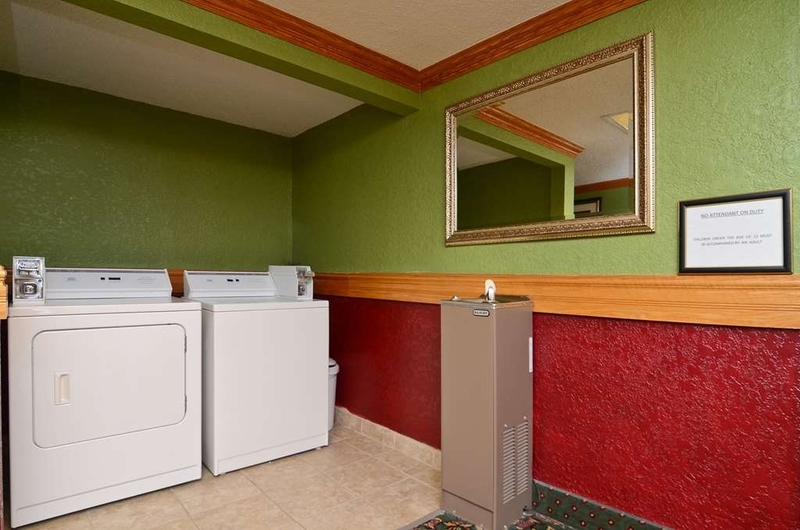 The laundry is located in the hallway, and there were some men standing around (the washer/dryers)who looked like they had come from the semi that was running in the lot adjacent to the hotel property. My wife wanted to work out, but felt uncomfortable knowing the building was not secure, and anyone could access the workout room while she was there. The lighting in the hallway was very low as well. Other than that, it was a good overnight stay. 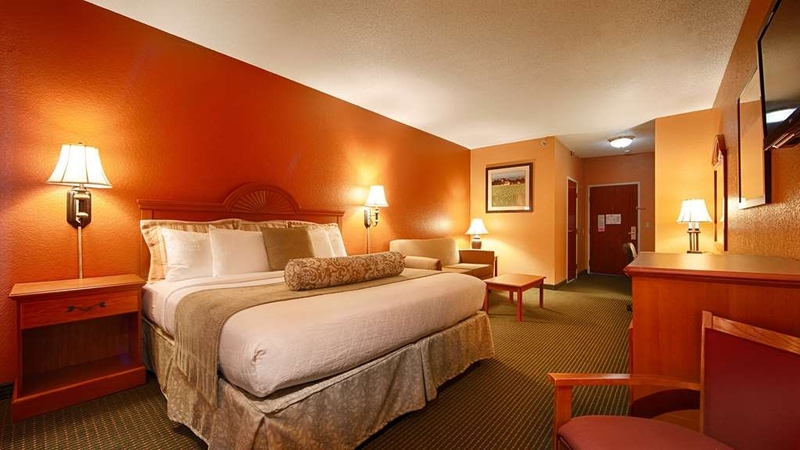 Very nice and clean hotel, wonderful staff and reasonable rates. Rooms are very clean. complimentary breakfast is available. Would suggest this hotel to anyone. Hotel had in house laundry, hot tub and swimming pool. 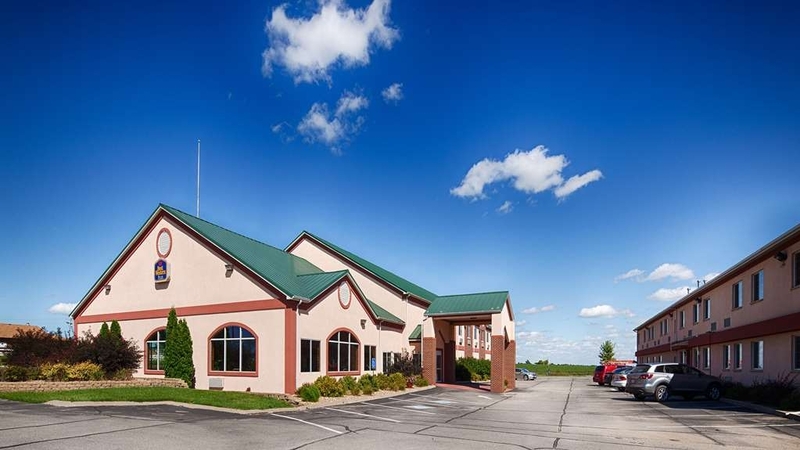 This hotel is located just north of I-80, very convenient to get on and off interstate. Our room was clean. The walls are pretty thin, because we could hear the TV in the next room, and was glad the people finally shut up and went to bed, so we could get some sleep. The hot breakfast was better than most, except the gravy was more like a thick paste, but the other items were pretty tasty for a hotel free breakfast. There was a new person working the front desk when we checked in and she seemed pretty lost and had to keep calling someone to come show her what to do. However, all in all, we had a decent stay. Our room was clean and comfortable. We booked this hotel far in advance. When our plans were updated we forgot to change the reservation. The staff went above and beyond to accommodate us. We were very comfortable and felt like home away from home. Bonus: the French toast at breakfast was delicious. Manager and staff do a great job. Location is convenient for I-80 travel. The rooms clean and rates are fair. The complimentary hot breakfast and early time its served is great. I visit the area with business travel a few times a year and will continue to stay here. Thanks for the great service. We stayed here one night in order to attend a concert at Grinnell College. Our room was large and clean. My husband had an afternoon swim in the indoor pool. Breakfast was good, although they were a little low on fruit. Front desk staff friendly and helpful. They don't have an elevator, so those having problems with stairs should ask for a first floor room. This place was clean, which is about all I ask for in a roadside hotel. It's right off I-80 with a couple of gas stations and a Walmart nearby. There's a food store (Hy-Vee) just a little further down the road. The town of Grinnell and the college are several miles north. As previously mentioned, the room was clean and modern. Breakfast was so-so & nothing special, but it's free (eggs were dry, pastries OK, hash browns good). The rate was better than some other nearby hotels, but more than several with much poorer reviews. The rate was good.The breakfast was great with hot food. The room had someone's dirty socks and underwear in the closet. So I wonder how clean was our room. The parking lot was good with easy access from road. Excellent stay. Desk clerk, at check in, was wonderful - went above our expectation to provide an easy early check in. Overall, everything was great. We will return to this location, in future travels. Good stay. Helpful staff. 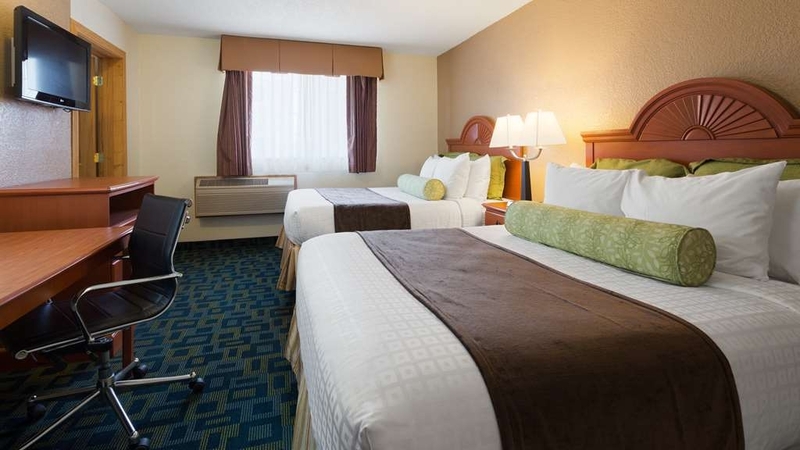 Quiet room with comfortable queen beds. Good breakfast. We had an early start both days we stayed here. The staff had breakfast earlier than normal so we could eat before heading out in the mornings. Very attentive to our needs. "No elevator, very noisy with constant slamming doors"
I chose this property for it's location and because I usually have good luck with Best Westerns, but this choice was a mistake. I'm in the room now and I am constantly hearing kids running down the hallways, slamming doors, and numerous loud voices. I'm on the top floor (there are only 2 floors) which is usually less noisy. However, not at this hotel. Also, there is no elevator and no one to help carry bags upstairs. The carpet in my room does not look like it's seen a vacuum, and the work desk was filthy so I wiped it down myself. I'm desperate for a decent night's sleep but I highly doubt I'll get it. While the staff is very friendly, I will never stay here again. 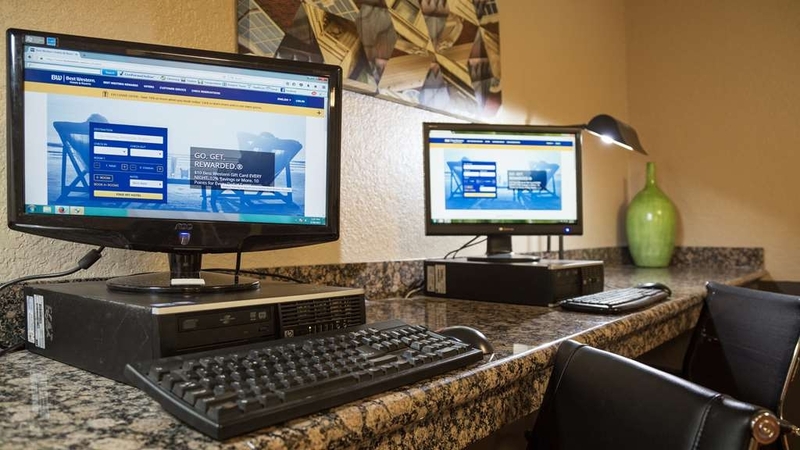 "My Grinnell Iowa Best Western Stay"
My Stay was very nice...I got an upgrade to a Suite with a Jacuzzi and FirePlace because of my Diamond Rewards Status... I only stay at Best Western because they are the Best...Hands Down...I'll be hitting the road again soon for Business and Best Western will be my Choice to stay at for sure. I rented suite and wanted nice room to spent a couple of days with my girlfriend who I proposed to. The room was a suite with large hotbub and fireplace. Great for romance! Good news is she said yes thank you! the soft water was lovely. The room was big. The bed was too hard for my liking. The heater stopped working properly in the middle of the night. The phone didn't work and the staff didn't know what to do to make it work. The breakfast was average fare. It was convenient to the interstate. 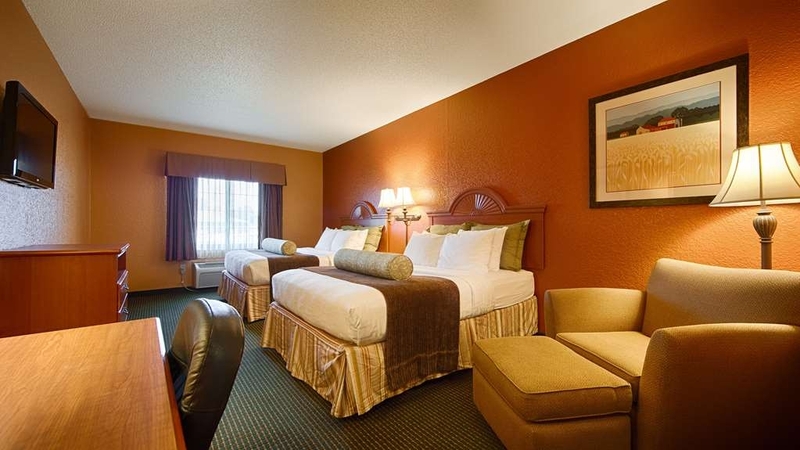 This was my first stay at this Best Western and I will be using it again in approximately 2 weeks. It is a clean hotel with a very caring staff. I had a pet room and it was very clean, all too often that is. Not the case, but even my pup was satisfied. I would recommend this hotel to anyone going through the area! We've stayed here before and came back because it's always been clean. Extremely disappointed this time. The room is not clean and if you aren't staying in the main building, it's just not worth it. Besides the finger/toe nails the toilet wasn't clean and the drain is pulled out sitting on the tub. ?? Also you can just walk in the the other building, no security. We used both locks and still don't feel safe. I've been in plenty of rooms with the air under the windows but the curtains don't blow where you walk in them to get in bed. Staying at this motel has a very nice feeling to it. 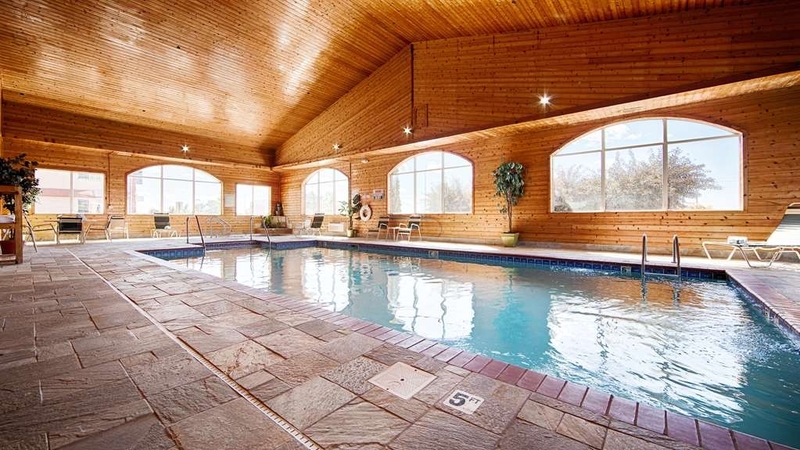 Plenty of parking, breakfast, pool and hot tub. Relaxing and plenty of eating establishments in area. 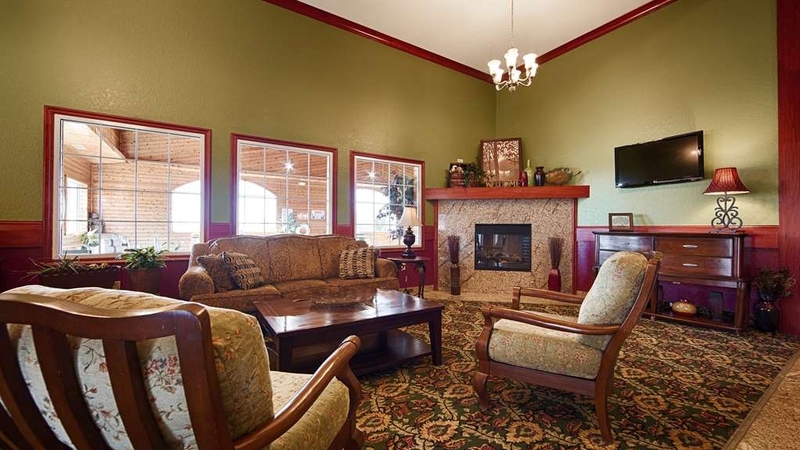 Stayed here for business, and would recommend to friends and family as a true value. I?t isn't horrible, but it's old. We stayed in a separate building from the check-in building and the door to outside never locked, meaning anyone could have walked in and rambled down the halls. The breakfast was decent, but burnt scrambled eggs were put out, which made me concerned about eating any other cooked food (sausage). I? only saw, at most, eight cars around both buildings, but other hotels didn't have a lot more cars, but more nonetheless. This really just bothered me because of the unlocked door. The sitting area tv did not work, which is the reason I? got a suite. Nothing major, just annoyed me. The price was decent for the square footage. On behalf of our entire team we appoligize for not meeting your expectations. We strive on 100% guest Satisfaction and are very sorry for not meeting yours. We welcome you back next time you are in the area. "Great place to stay off of i-80"
We were passing thru after visiting our family in Wisconsin. We found this pet friendly hotel to be just what we needed on our long drive back home! Their pet fee is $20 and they have a nice area for you walk your pet. The bed was comfortable, the shower hot and breakfast filling and good tasting. Highly recommend if you are traveling with pets and need a nice, comfortable well priced hotel! We are very pleased you enjoyed your recent stay at the Best Western Pioneer Inn we apperciate your business and welcome you back next time you are in the area. I was passing through the area on business. I typically stay in Best Westerns ... so I callled ahead and got a non-binding reservation. I was happy when I got to the hotel. It was everything that a Best Western should be !! Thank you for the 4 Star response. we at the Best Western Pioneer Inn & Suites Strive in 100% Guest Satisfaction And welcome you back next time you are in the area. This hotel is very nice my room was clean quiet and the bed was great. Got a great night sleep and the breakfast was very good lots of choices. One thing there is very little parking for a pickup & trailer. You can park on the street or there is a truck stop next door. The BW is still a great place to stay. This was a one night stay. the staff was ok we did have a problem with our room as far as cleanliness. Being diamond members you would think they would put us in a room in the new section, but they didn't the halls were filthy. They did compensate us with 500 bonus points plus $20.00 off the room charge. The breakfast was cold along with the coffee. Reserved two side by side queen bed rooms for the four of us on the first floor due to no elevator and have a power wheelchair user. Arrived and they had us on the second floor with no elevator. My son in a pw cannot get out of it to walk. They put us in an old building next door with two king beds, horrible lighting, bathrooms much smaller than normal and apparently takes dogs which barked all night and smelled. No compensation offered for their mistake. 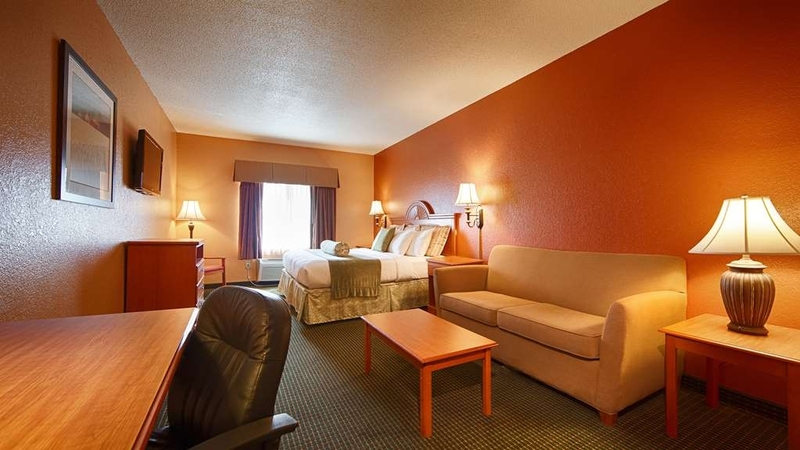 Staff very friendly, rooms very nice and outside looks good and location was great. I would recommend that you stay here next time you are in the area. The beds were very comfortable and clean. Also there is a steak house that is right across the street from this hotel where you can grill your own steak or have them cook it and a gas station next door also. The staff also asks you if everything was ok. Stayed here for an extended time. I've stayed in a lot of Best Westerns and its sad to say that this hotel killed my experience of the brand. The rooms were ok, though when i mean rooms i was in multiple. The first had a plumbing issue, you couldn't have a shower without the previous visitors hair around your ankles due to the drains being so clogged. the next room was a little better but the fridge died, the AC didn't work well. Then the bugs moved in. Tons of sugar ants, beetles in the room and hallways. I was polite in all of this "could you spray my room?" I got a single ant trap next to my bed. My door was left open by housekeeping twice. so be wary of leaving valuables in your room. On check out, i found that after repeatedly asking to be billed weekly, they billed me monthly. nice of them. I am not happy at this hotel. its been a constant pain and I would have stayed elsewhere if i had known ahead of time. Hopefully this helps you know what kind of dump this place really is. I loved staying here. The suite we stayed in was extremely clean. The division of common area and sleep area was fantastic. 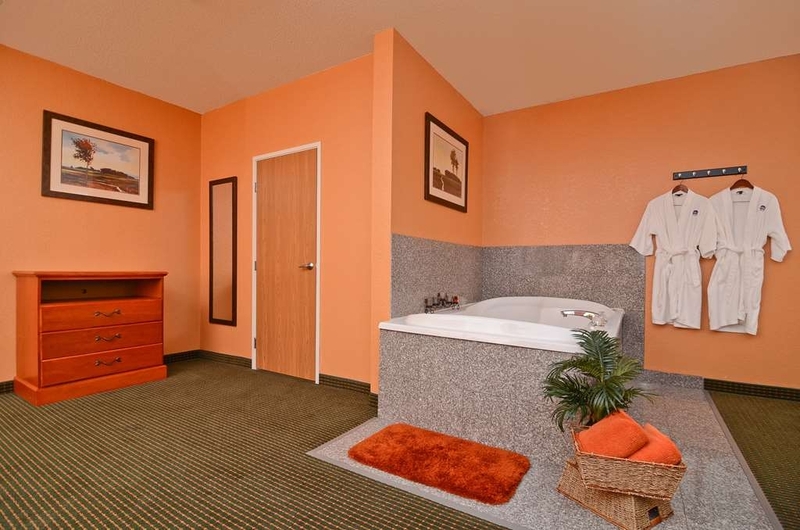 Bathtub was perfect for someone with mobility issues and overall size of the suite can't be beat for the price. "Several Issues need to be dealt with"
I'm hoping to hear back from the hotel about the issues. This was the first time I have been unhappy at this hotel. One problem is the lack of elevators and that there are two buildings and you have to walk in between them. I'm sorry you were unhappy about your stay. Unfortunatley we do not have elevators since we are only a two story property. The only real problem with the two buildings is they are not connected ans if they were there would not be any real issue with the property. Everyone has a different opinion in the buildings, Its personal preference. If you have any other issues feel free to contact me direct at the Property. "Worst hotel experience I've ever had..."
In Summary: I got to the hotel and I had my confirmation number and email from Price Line stating that I had reserved and paid in full for a room. The hotel would not honor the Price Line quoted price stating that there were no rooms available of the type I had reserved. This should not be the guests problem. When I left the hotel the next day, the hotel assured me that my credit card would not be charged until this issue was resolved. When I called my credit card company the next day, I had been charged by both Price Line and Best Western. The hotel also assured me they would call me when the issue was resolved. Instead, they charged my card and I received no call. In my opinion, the price I was originally quoted should have been honored. It is not my fault that the room type I reserved was not available and they had to upgrade me. Plus, they didn't just charge me the difference between the priceline.com amount and the full price of the room, they charged me for the full amount of the room. Yes. I was charged twice. This was resolved by price line. The manager continues to tell me there is no agreement between priceline.com and the hotel, I guess priceline just randomly puts hotels on their website and hopes that a room is available when the guest shows up. Really????? I spent hours between the hotel and priceline trying to resolve the situation. At least priceline was making an effort. The manager just keeps defending herself when the solution was simple. 1. Manager cannot look up reservation because computers are down. 2. Guest presents email with confirmation number and statement of payment. 3. Manager gets guest any room available and does not charge guest extra. 4. Manager waits until computers are back up and fixes the issue. Forgot to mention that the fridge had something left in it from a previous guest. On behalf of our entire team we apologize for not meeting you expectations. 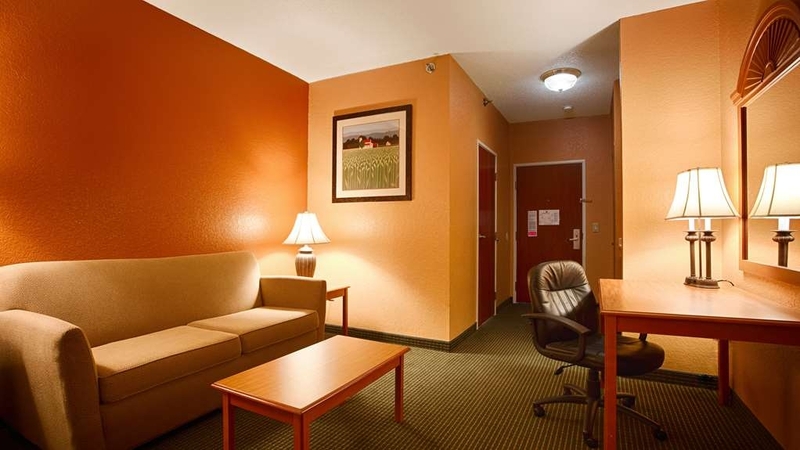 We at the Best Western Pioneer Inn & Suites strive on 100% Guest satisfaction. We welcome your feed back and will take better precautions on how to improve for future Guest. 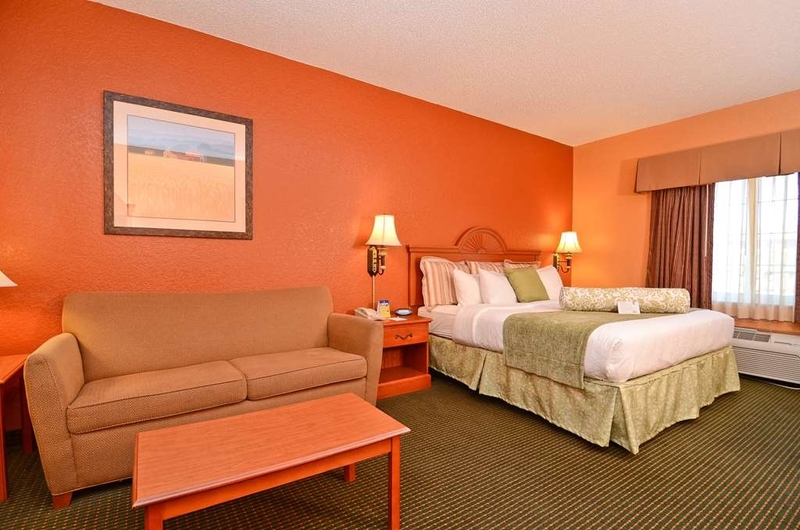 A great room with many television options, comfortable chair, bed. bathroom and room updated and ac was on--room was already cooled. first floor room exceeded expectations. only draw back was broken security lock on door. 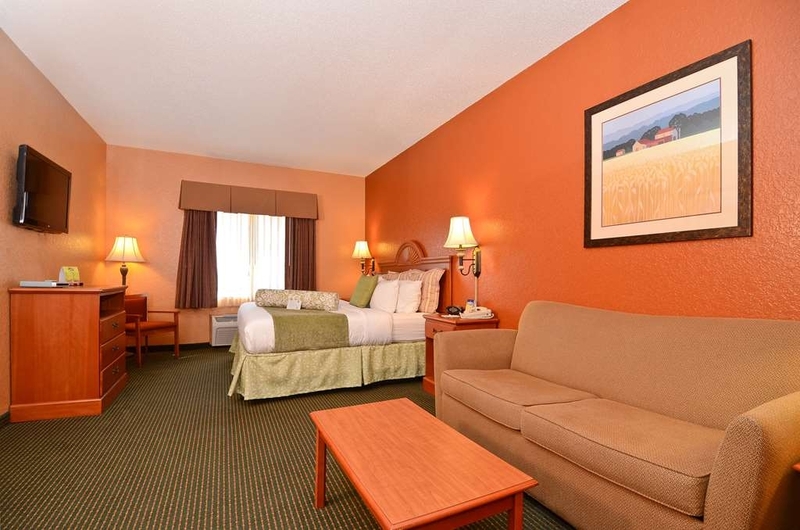 On behalf of our entire team at the Best Western Pioneer Inn & Suites we strive on 100% Guest Satisfaction. We are thrilled you had such a positive experience here. We welcome you back next time you are in the area. This is our second stay here - We really like the pool, very clean and not at all crowded. The service was average from the front desk, but we did not require much attention. Housekeeping did a good job. Beds were very comfortable! 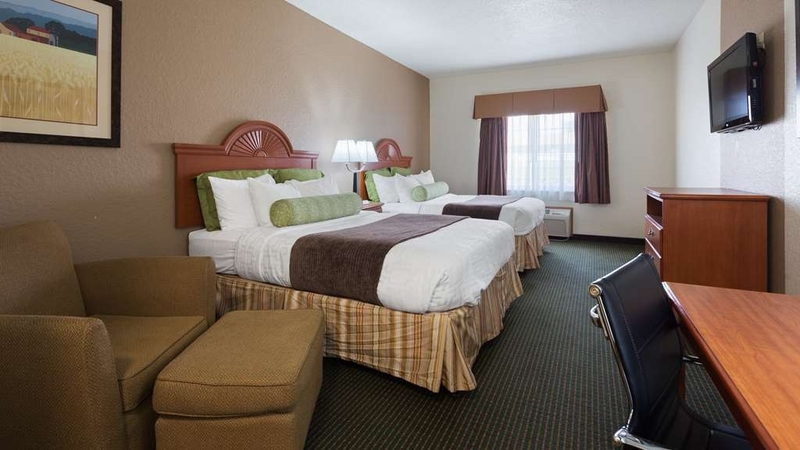 This room cost over $150 in Grinnell, IA??? In lobby at 7AM on Sunday. Dispensed coffee from pot and it was cold. The dweeb (sorry, but this 15 yr boy had NOT A CLUE!) was like "this coffee"? He comes around the desk after 10 minutes and picks up the pot and starts walking off. I ask if this is today's and he says "ahhh, I THINK so". "I need to make some". SERIOUSLY??? This hotel is below average. Rooms ok. Pool FILTHY. Bugs and the chlorine smell in the pool room makes it unable to stay in there. Kids could not even swim. Don't waste your time here!! I sincerely apologize for your recent Trip to the Best Western Pioneer Inn & Suites. On behalf of our entire team we welcome you back to show we strive 100% Satisfaction for our Guest. We appreciate your feed back and will ensure future Guest do not run into this problem in the future. Traveling with a dog, we generally stop at Best Western hotels when driving along I-80 from CA to MI. This is a nice one, with a good steakhouse next door that you can walk to. Bed was a little soft for my husband's taste, but I thought it was fine. 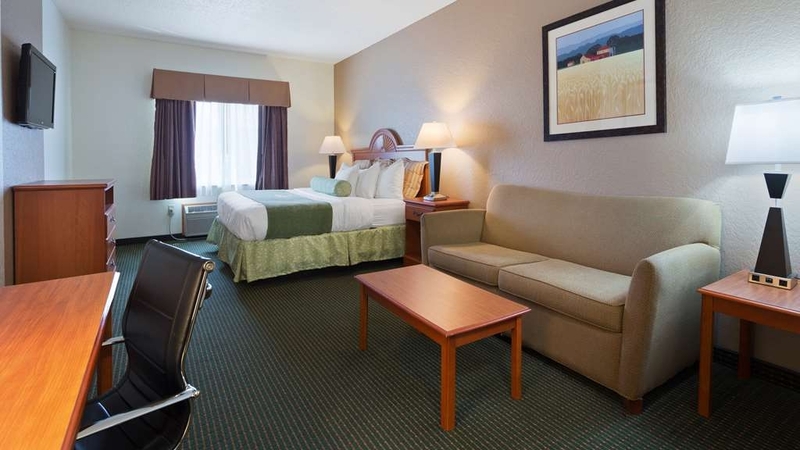 On Behalf of our entire team at the Best Western Pioneer Inn and Suites we strive for 100% Guest Satisfaction. We welcome you back next year on your cross country trip! Stayed here two years ago to attend an Indy Car race and had a good experience. This time not so much. We came back to our hotel on our second day there at 7:30 in the evening. Our room had not been cleaned - I am just talking clean towels and empty the garbage. Inquired at the desk about cleaning and was told there was no cleaning crew working at this time?? Really, you had all day. I asked for clean towels and garbage bags, you would have thought the person at the desk would walk with to pick up the dirty towels and empty the garbage - not a chance. I don't know that I would stay there again. 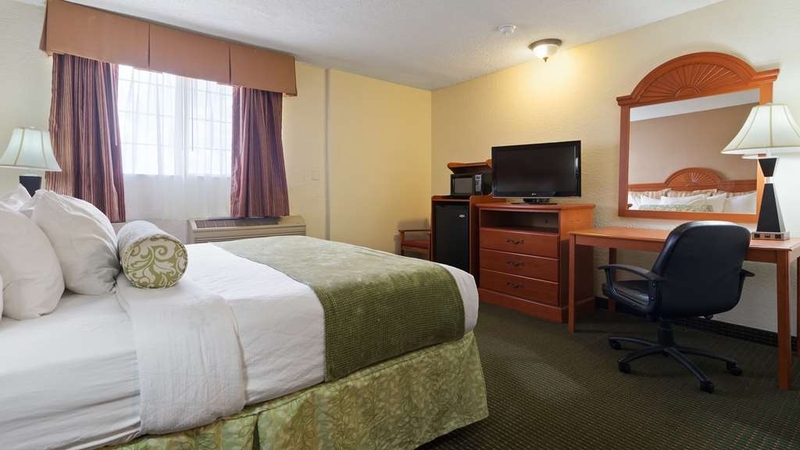 We at the Best Western pioneer Inn & Suites Strive on 100% Guest satisfaction. On behalf of our entire team we apologize for not meeting your expectations. We welcome you back in the future to ensure you have the full experience you deserve from the Best Western Brand. Hotel is nice. My only real complaint is that this hotel and others in the area raise rates on race weekends to take advantage of race fans. So the cost is what you would expect in a much larger city. 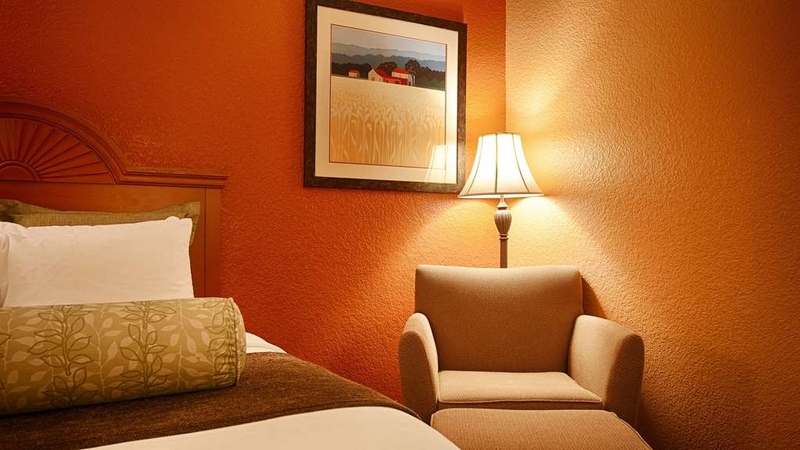 We at the Best Western Pioneer Inn & Suites appreciate your feed back! Its a competitive Market out here during Race weekends. We welcome you back next time you are in the area. We needed some good rest from traveling and we got it. Very clean, very comfortable and the staff was a joy. Stayed on a holiday when most surrounding businesses were closed, but just chilling at the hotel was a great experience. Very nice pool/hot tub area. 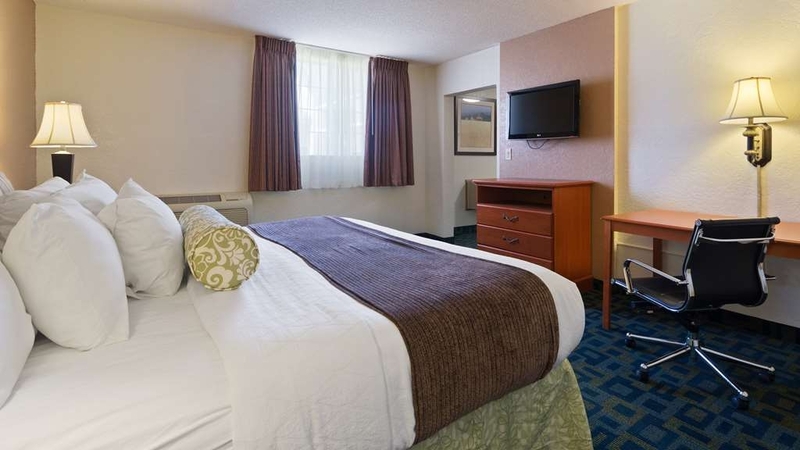 On behalf of our entire team at the Best Western Pioneer Inn and Suites we strive on 100% Guest Satisfaction. We are pleased to see you enjoyed your stay over the holiday. we welcome you back next time you are passing through. "Average hotel, great highway access"
I stayed here while in the area for work. 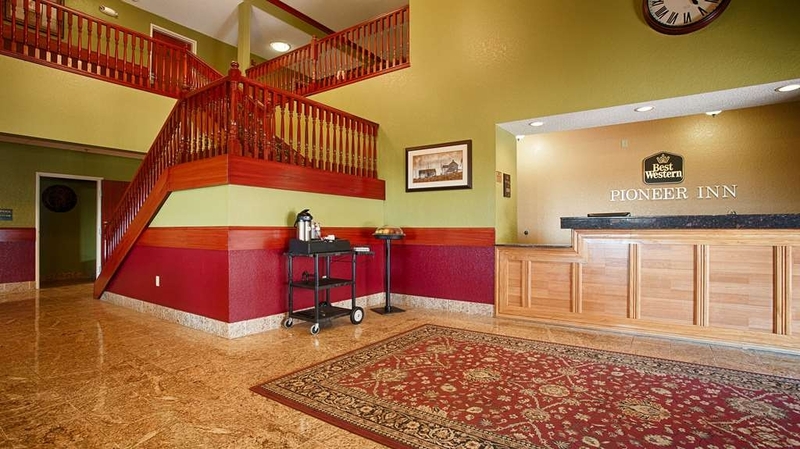 It's a fairly standard hotel with good I-80 access. My room was fine, bed was comfy, and the AC worked great. (Important for an Iowan summer when it's so humid.) My bathroom wasn't quite as clean/orderly as most other hotels. (For example, the bath tub stopper was completely out of the drain, giving me a gross view of the inside of the drain...) Also, the main door to the room will hit the door to the bathroom is it is halfway open, which happened to me when I first opened the door to the room. Seems like an oversight in planning out the room. I'm always grateful to have a mini-fridge while traveling, so that is a nice amenity. The staff were friendly and check in was one of the fastest I've experienced. Kate, Thank you for review. 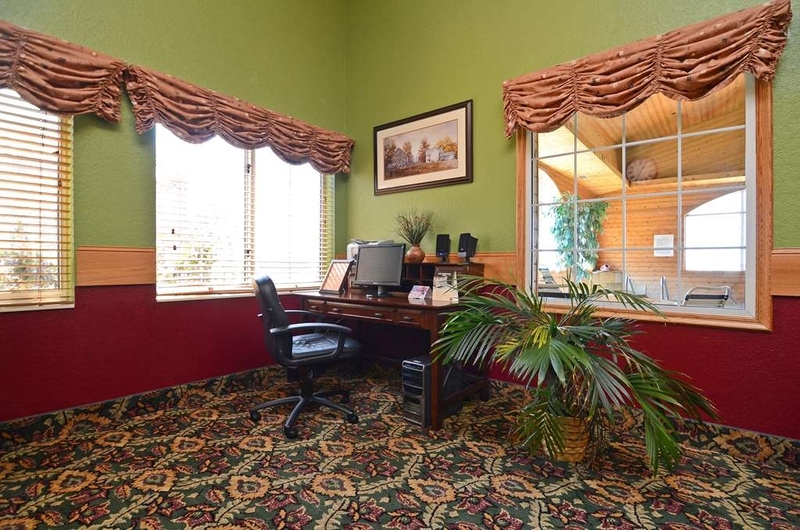 We at the Best Western Pioneer Inn strive on excellence. We apperciate your Business, as well as the review. On your next visit to Grinnell, please think of us, and your expierence will be better. We srtive on 100% satisfaction gaurenteed. Stayed here for one night over Fourth of July weekend. The room was in need of an upgrading and cleaning. It feels like they are way short on funds to maintain the hotel and an adequate staff. The bathroom is among the smallest I have ever seen. It is not less costly than other nearby options. I suggest that you pick one of them. This is the first one star rating I have ever written. Sorry. "Had gone down in my rating!" Since room was not cleaned for no apparent reason, and finding bugs. Desk personal were messy in appearance. However food was presented but some workers did not keep area clean when sugar etc was spilled. Older hotel that has been updated and well kept. Clean rooms and breakfast area with typical breakfast items. Pool is indoors and felt great after an 8 hr day in vehicle! Nothing outstanding but good stay with friendly staff. The lobby and room had a musty odor. Room was good sized and generally clean. The bed was comfortable. The breakfast was terrible. We had spent eight straight days staying in hotels and this was the worst breakfast. The coffee, when there was any, was the consistency of weak tea. The OJ dispenser spewed water all over, but no OJ. The toasters didn't work. The egg-like substance being served as scrambled eggs was horrible. The breakfast attendants main job seemed to be to sit at one of the tables in the dining area and text on her phone. That is all she did the entire time we were in the dining area. 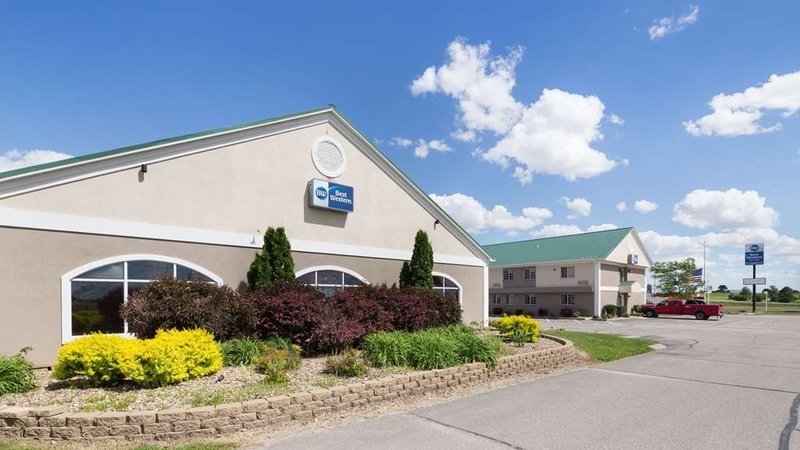 We selected this hotel in Grinnell based on a review I had read from someone who had stayed there many times and touted it as the best option in town. This was not our experience. Nothing to report that would be considered an outstanding stay. Staff was friendly. Room was to say the least not as clean as other Best Westerns & had an odor similar to being shut up for a while in the heat. Breakfast was not up to the standards we saw at other Best Westerns on this trip. Unlikely to return to Grinnell or Newton for that matter because that lady at Newton was slightly rude or unfriendly & we drove on to Grinnell where it was late so we stayed..
All good but tub bottom which was dangerously slippery and they had no rubber safety bath mats, and air conditioner which would turn on only sporadically so the room would get very hot in between bursts of icy air. This motel is easy to find as it was just off the highway. They had a nice firm bed and plenty of parking close to the building. The room was very quiet. The wifi was strong and stable, which was very nice and somewhat rare! I made my reservation through Trip Advisor and had no problems at check-in. "Overwhelmed Staff / Underwhelming Inn - Stay at your own risk"
Was in town for Grinnell College's commencement ceremony. Although the school has been there since the late 1800's the town and this hotel were overwhelmed with the influx of people. Like other college towns with events like this, choices were limited although reservations were made 10 months in advance. When we went to our room, the beds were made. Yet, no one had touched the bathroom. We told the staff and they sent some one over to do a quick wipe down, but the smell of urine was still strong. I ended up buying cleaning products and bleached the floor, walls, tub and sink. Normally, I would have checked-out, but there were no other options in town. Know that I have stayed in many locations around the world including camping. Simplicity is always welcome, down right dirty is off putting. The room was considered a suite with an overstuffed chair with ottoman and pull out couch -- both looked and smelled like they had come out of the basement of a frat house. Carpeting was equally frightening and did my best to assure my bare feet did not make contact. "Clean & quite hotel and nice stagf"
I was passing through the area and decided to stay the night here. They accept animals and I had my dog with me. It is a Best Western, so I was not expecting a lot. I was pleasantly surprised by how nice the staff was and how they seemed to actually want my business. They were polite, joked around and were very helpful. After having been on the road for about 10 hours, their attitudes were appreciated. The rooms were quite and clean. Even though they allow pets and I was in one of the pets rooms, it did not smell as so. The room had a flat screen TV, fridge, microwave, desk and single serve coffee. While I could hear some freeway traffic, I did not hear too much or really anything else. Overall, I am very happy I decided to stop off at this location. They have given me a new perspective on Best Western! Housekeeping skipped my room the first day. Chalked it up to a mistake. Then housekeeping failed to clean my room the second day, but they changed my towels, which means they entered my room and consciously decided to not actually clean the room. I travel for work and stay in hotels almost half of my nights in a year, and haven't seen such a strange pattern of service from a hotel. I decided to check out early and go to a nearby hotel. Avoid using this hotel. Clean room--we did have a pet so paid extra, but service was good and it looked like they had updated with new carpet. I would recommend this hotel. Easy off interstate and easy back on. Close to restaurants; we really didn't have a chance to take advantage of pool and hot tub. Rooms were clean and comfortable. Staff was helpful and friendly, peaceful and quiet. Did not use the pool but it appeared clean and taken care of. Will stay there again. The only problem we encountered was parking. Hotel had updated decor, clean everywhere, even public areas. One employee makes homemade cinnamon rolls for breakfast! Plenty of high protein choices too. Our granddaughter is a Grinnell student, we look forward to visiting Pioneer Inn and Suites often. "Save money and stay elsewhere"
I've used this hotel for my work trips to Grinnell which occur a couple times a year. I've stayed here for 5 straight years. It was a bargain compared to the other hotel I used - nicer staff, the hotel was in good shape, clean, good parking and closer to food and services. Good access. I could stay for under $75 per night and that included taxes. Now, its up to $146/night with taxes and its the same place. No changes. No upgraded rooms, nothing extra for the money. Its time to move on and find the same or better at a decent price oh, and don't even ask for any sort of discount using Triple A, AARP, anything you will be curtly told that the desk persons cannot make any rate changes. There are 6 other hotels nearby, check those out instead. Hotel personnel were helpful and welcoming. The room itself was clean, well-appointed and very orange (took a little getting used to). Pool and fitness center looked very nice although we did not use. 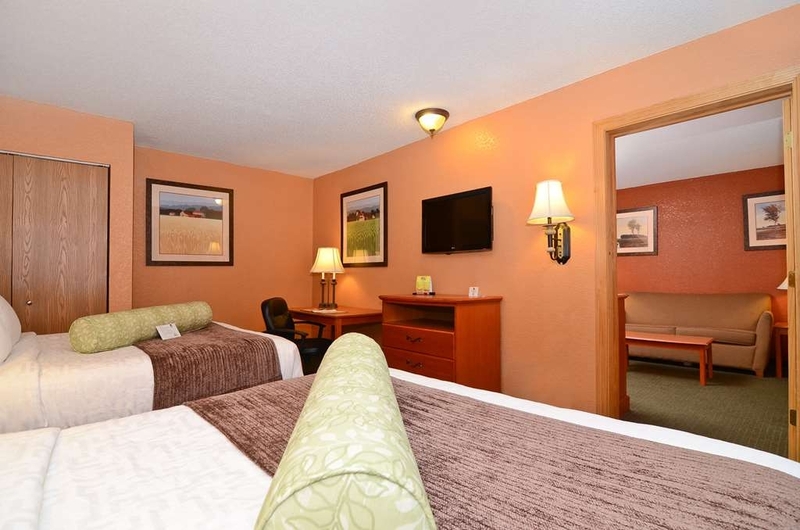 Hotel is situated right off the interstate but very quiet - two or three miles into town. "In town for a swim meet"
This is not a high end hotel by any means, but still very disappointing. Trying to find someone at the front counter who would care to help you was difficult. She would rather chat with her friends and check the computer than to help guests waiting to check in or ask a question. The room was clean, but very low rent. The bathroom incredibly small, and there was a large dent on the lock. Not sure if it had been modified or if the room had been broken into previously. Breakfast was a letdown, and I wouldn't waste my time there again. In the end, this place did not give us an overwhelming safe feeling, especially as it sits right on I80. It served our purpose, but if you could keep driving, I would recommend it. We stayed here on our way to an Iowa Football game. 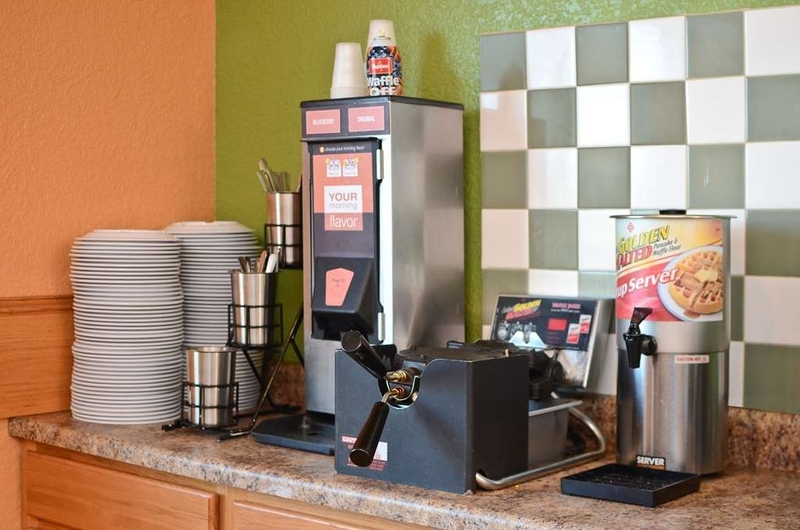 The hotel is convenient to the interstate and has a large convenience store right next to it. 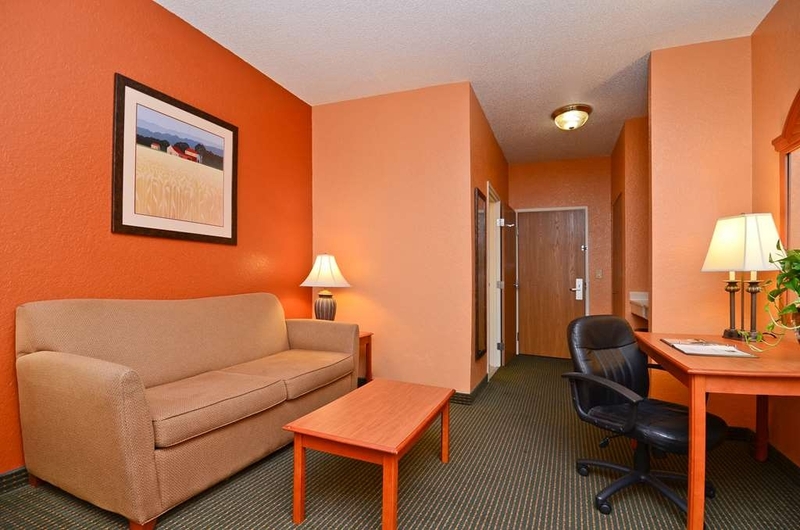 The rooms are average for a Best Western. Our biggest problem was that we could here music from adjoining room and finally had to call the front desk and ask them to please request that the party in that room turn the music down, which they did. The hotel had a better than average breakfast. Pulled in late and exhausted. Greeted by a friendly, smiling desk clerk, warm cookies, and a cup of tea. Room was immaculate and inviting. After a good night's sleep and a hot shower, we had a decent breakfast. A final "have a nice day" from the smiling morning desk clerk, and we were off. Would definitely stay there again. The Best Western Pioneer Inn & Suites was a welcome find after a long day of travel. 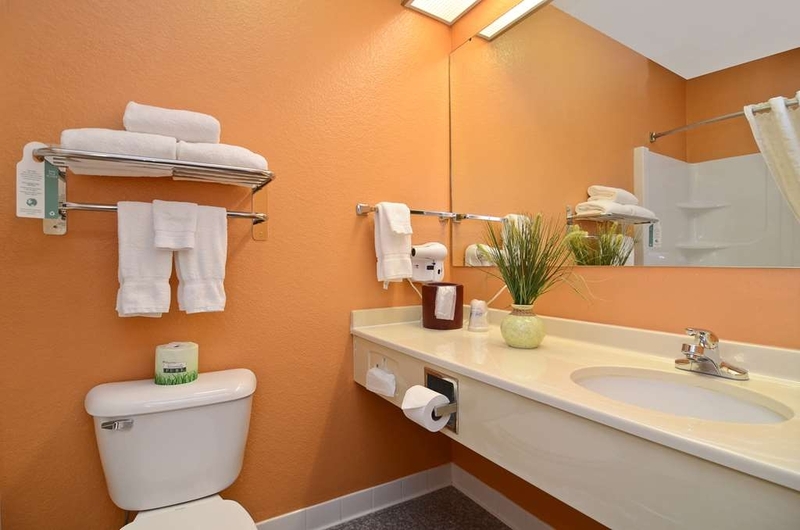 It is a newer hotel with all the needed amenities for a delightful, refreshing stay. 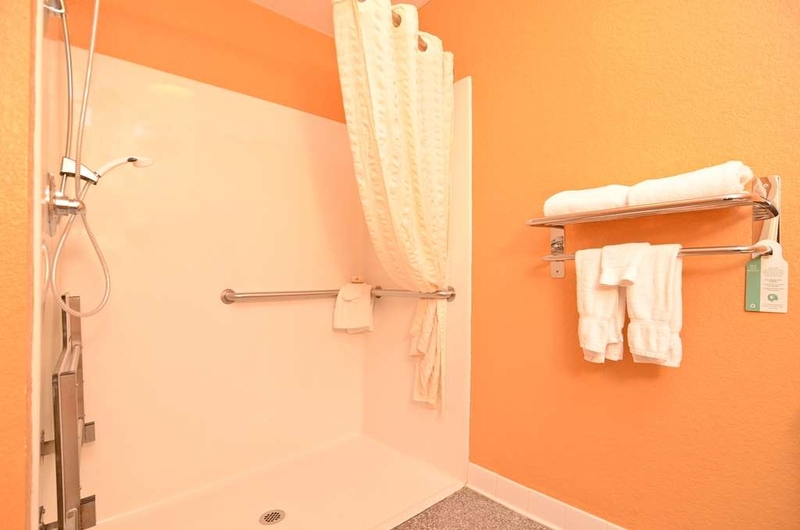 The beds were comfortable, the bathroom was spacious with a great shower head and water pressure. Breakfast was good, but most importantly the coffee was good!!! 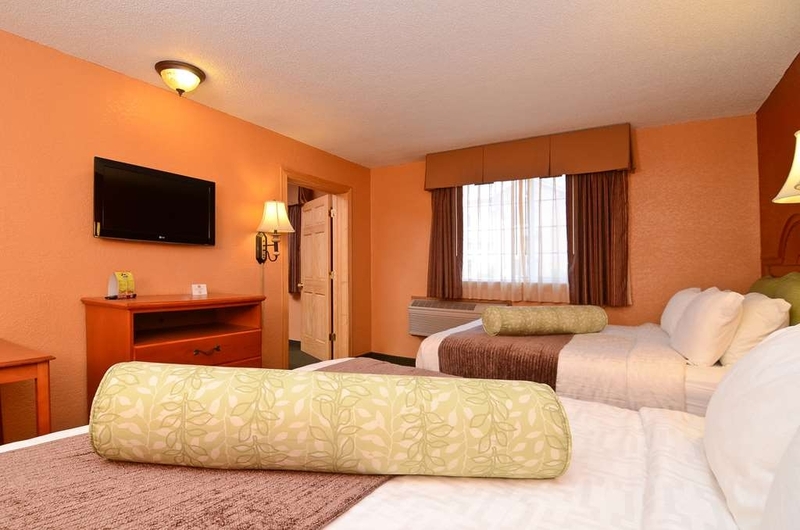 Thank you for choosing are best western pioneer inn and suites. We are glad you enjoyed your stay. Next time your in the area please stay again. The room was nice. The thing you would expect were there, but the thing I liked the most was the room itself because as soon as I walked in it looked like it had been remodeled. When I needed anything(directions,soap) they had it or knew where to get it. Very modern clean updated hotel. The staff was very welcoming and friendly. Everything looked new carpeting, bathroom, and lobby. Pool and Jacuzzi was very relaxing. 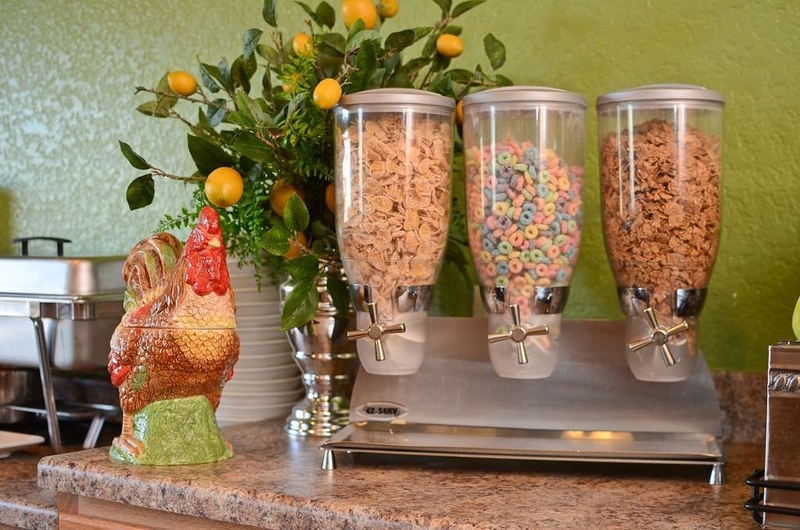 Breakfast room is fully stocked. Easy to find was right off the interstate on the first block. "Vent grill melted, mold between shower curtains"
The vent grill had melted prior to our stay so you could see just how filthy/dusty the vent system was. Bring your fire proof jammies. Black mold between shower curtains. Bring your mold mask. Large beetle type bug on floor was still kicking. Bring a shoe! Tub drain was broken so they set it aside where you could see what a mess it was and the scummy drain pipe too. Numerous places lacked stuff like caulk and proper finishing. Last time I stayed about 2 months ago, got a decent room. Close to I-80. Go elsewhere for breakfast, one yogurt: strawberry banana. No biscuits and gravy, lackluster even for a free breakfast. 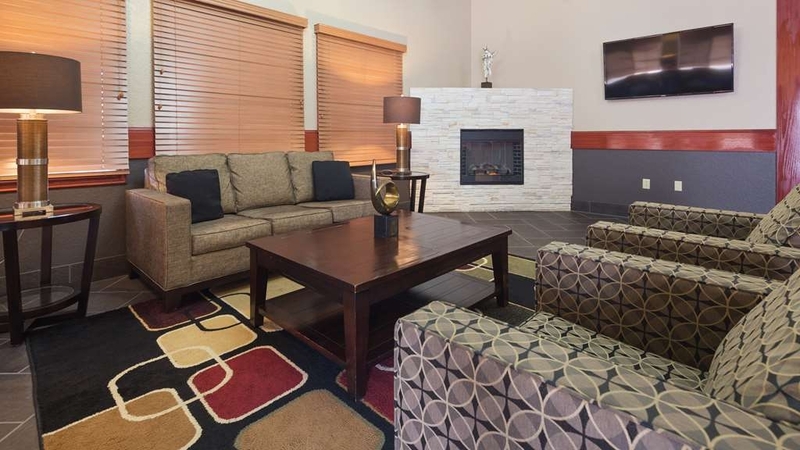 "we like, two rooms suites ,"
Staff were amazing to work with and quickly resolved a room issue. The issue was minor, and gave me an upgrade suits.This was a large two rooms suites on second building, very quite room. and it was great to have a large room space. we love the bed very comfort. owner and manager are nice, he was apologies, he give us 1000 points bonus. Thank you im glad we fixed your issue in a timely manor. Hope to see you again sometime soon. "The owner of this Best Western will NOT give you your BW reward points if you book through Priceline!" Driving from California to Michigan and I spend the night with my family at the Best Western in Grinnell Iowa. Property was nice enough...staff was friendly. What is my beef? Simple. I had my son book with Priceline.com as we were driving towards Grinnell. What a shock to find out that Mr. Jay Patel who owns this BW believes that if you book via anyone but BW's website you are a a low revenue customer who does not qualify for your BW points. My issue is this. Mr. Patel made his bed by partnering with Priceline. I simply prefer to use the Priceline site as it gives me more options. If Mr. Patel believes he is not making a large enough margin to keep his doors open...I suggest he stop making deals with Priceline. I spoke to one of his employees when I found out I did not get my reward points...and found her to be among the rudest people I have ever had the displeasure of speaking with. So I hope that the $3 dollars Mr. Patel was able to pocket by not giving me my crummy BW points makes him feel like a Rockefeller. sorry for the trouble but any resavation booked by a thired party does not get points. If you want points next time call the hotel direct or book on bw website they always have good promotions. Booked though a travel site. Room was paid through travel site and the Best Western Pioneer charged my credit card after giving me a paid receipt. I was double charged and the Pioneer Best Western manager told the travel site that I booked through that it would take up to 15 business days to reverse the charge. I called the hotel and they were not helpful. We will see if the charge is reversed, so far not and it was charged Aug 21st. Be careful! The second building that is across the lot was where our room was. It seemed okay until in the morning there were very tiny ants all over the room. Sorry that your card was charged the site you went through is new to are hotel and does not let us know its prepaid. your card was refunded and yes after we refound it it can take banks up to 15 days to post.As for the ants this is the first i heard of this. "Careful who you book your room through at this BW in Grinnell IA"
Had no problem with the hotel itself...do have a big problem with the franchisee who owns the place. The man who owns this refuses to give loyalty points to regular BW customers is they dare book through Priceline companies...such as KAYAK and Booking.com etc... Because this tightwad chooses to partner with Priceline...he then feels his margins are to slim to credit your stay and award you the BW points. His logic being you got a good deal with Priceline ( and yet the BW page assures you they guarantee the best price...so how come they stiff you on your points if you do not use their page to book??? ) you do not merit getting the standard issue points normally given for your stay. Top off this elitism with a super snotty lady who was regaling me with their policy that was NOT negotiable. I paid the asking price on Priceline for what was to be the " best " hotel in Grinnell IA. The price I paid was a price that the franchisee agreed to with Priceline. That makes it HIS problem...NOT mine. Nice to know you are a second class citizen in the eyes of the Grinnell IA BW if you book with Priceline companies. Sorry for the trouble but ALL third party reservations do not recive points. Bw websites always have good promotions going on some with extra discounts and some with 1000 or more bouns points always something to look in to. "A find on the road"
We were travelling to Illinois and happened upon this Best Western. 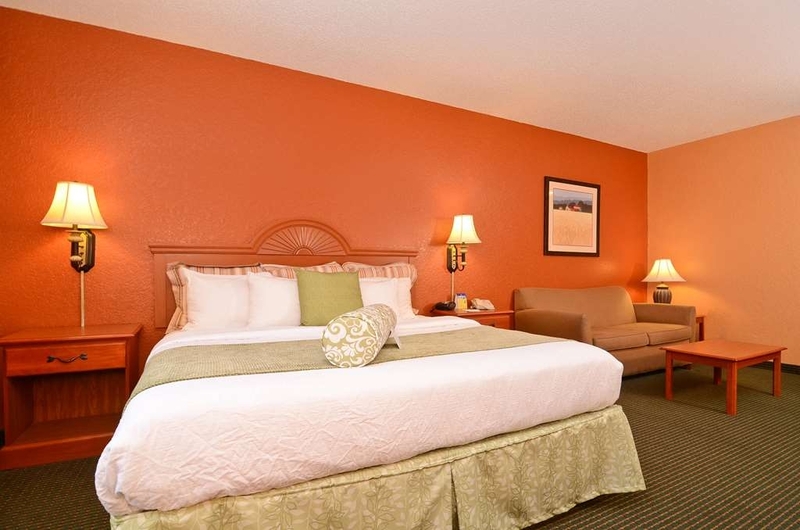 The staff was friendly , the room was large (got a handicap room), clean and quiet. Very satisfying for about $145.00 taxes included. 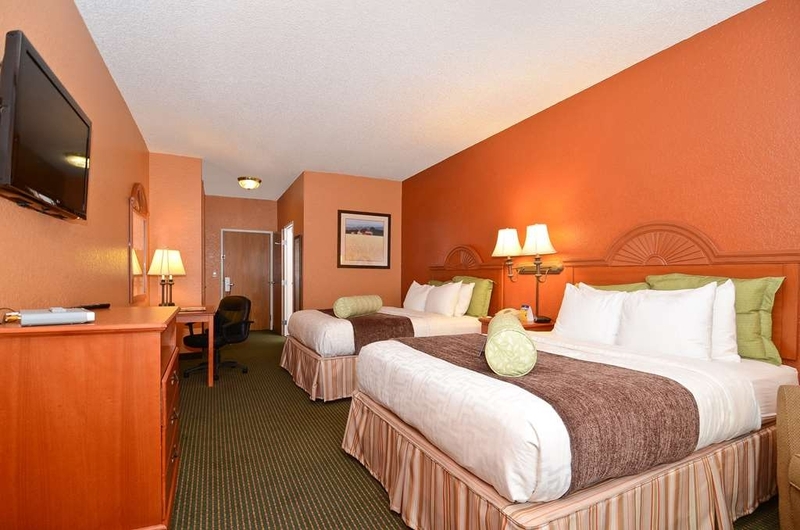 "Horrible odor in room and throughout"
The look and size of hotel is good but old carpeting and materials throughout make the smell too much to bear. Staff is friendly enough but food and rooms low quality. The location is a great spot and close to everything in the city but I will never, ever stay here again. This place is close to a steakhouse (which was fabulous. Check the Grinnell Steakhouse on TripAdvisor), pet friendly, and affordable. Right off the interstate. My only negative is that the bathroom is way too small. There's a pool but we never went there, so I can't post a review. We Enjoyed our stay. Stayed in the "other building"....not the main building where office was. My room was dark and dingy and there was a two inch gap under my door. There was literally 5 cars in the parking lot and I asked if I could change rooms and they told me there wasn't any available. My corporate office booked the room for me in advance. I stayed....and I ended up eaten alive with bed bugs. Furthermore, I took them home with me and it cost me a lot of money to treat my house. I hate leaving negative reviews....but I just don't want anyone else to have to go through what I did! If you choose to stay at this disgusting hotel then you must insist on staying in the main building where the front desk is located. It is remodeled with new rooms. The main building is very nice! We only know this because we had friends staying there the same time we were there. Do NOT let them put you in the building across from the main building!!! 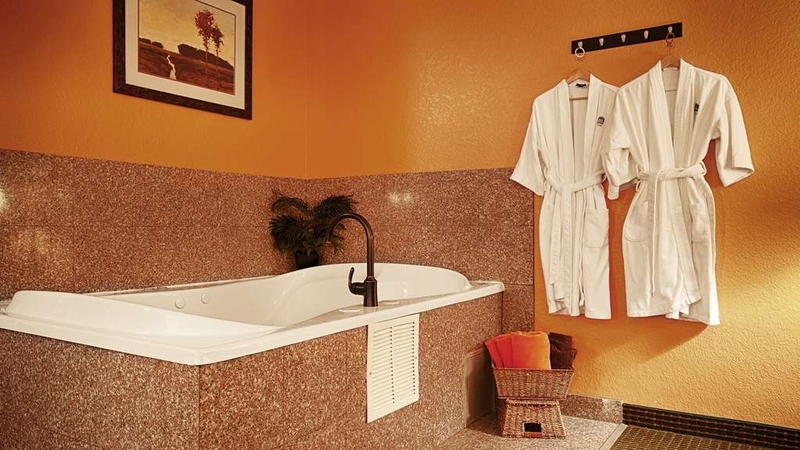 We reserved a king suite with whirlpool tub. They put us in what was supposed to be a king suite in the other building. We paid $160 for this room and it was disgusting, filthy, and simply gross!!! the whirlpool was stained yellow and so nasty! We did not even think about getting in it! I wouldn't even wash my dog in that tub! The room smelled like a barn. The bathroom was gross. The shower/tub was stained. The sofa was so gross I wouldn't even touch it! The worst part is that I woke up in the morning with bug bites all over my legs! It was obvious that I got them during the night while I slept because I had zero bug bites on my legs when I went to bed the night before. Absolutely the most disgusting, filthy, nasty, gross, and OVER PRICED room we have ever stayed in! We will NEVER stay at this hotel again! In fact we may never choose another Best Western hotel because of this horrible place! We are very sorry you feel that way about your stay all though you stayed in the room you are talking about for 2 nights and never once said anything to the front desk. This buildinhg is under going remolding and most of the rooms have been completed with grante counters new carpet and paint and fixtures. Again we are sorry you did not like you stay but you did not give us a chance to make it better for you. Laurie was an outstanding Hostess! Very welcoming, great afternoon cookies, extremely friendly! We had a great stay in Grinnell, Iowa! Very clean room and outstanding midwest breakfast! Easy access from the freeway. $100 or so I-80 stopover motel, right off the highway. Good, clean, and safe bed. Nothing fancy but it gets the job done. Everything worked the way it should. Decent breakfast will take you 300 miles the next day. I recently stayed at this hotel for a race weekend at Iowa Speedway. I would not recommend this hotel. The front desk staff would not allow me to check in an hour early. They claimed the staff was still cleaning my room. Seriously, on a Friday afternoon in Grinnell!? After returning after an hour later and checking into my room, I came to find the room not very clean. There was a dead spider and web in the ceiling corner of the shower. The shower had mold in it. One of the lights in the room was completely broken. The doorknob came off of the closet. The maid took our bath towels and didn't replace them, and didn't empty our trash. The hotel information promotes a "deluxe continental breakfast" but there was never any clean plates, the eggs were almost non existent. I would not classify this as "deluxe" by any stretch of the imagination. There are plenty of other hotels in the immediate area so needless to say I won't be returning here. "Very convenient if passing through Grinnell"
After driving 13 hours on our way to Cleveland, OH, we needed an overnight stop to ready ourselves for another 11 hour drive the next day. This hotel was mere seconds off the freeway, and extremely friendly and willing to check us into a perfectly suited room. We were sound and comfortably asleep within a few minutes of arriving, enabling us to have breakfast early and be off for our next day's drive, rested and refreshed. "Decent but don't come hungry"
It's clean, standard fare for Best Western. But the breakfast is hardly that. Oddly scrambled "eggs" and something I would barely call bacon were the only protein sources, and the single fruit option were not-so-great apples. Everything else is high fat, sugary carbs. And the bathroom wasn't fully stocked--we ran out of kleenex almost immediately and had no extras. VERY loud air conditioner kept my daughter awake all night. Last year we were in the second building as well as another recent guest, and we were in the main building for this year. This years' room was so much nicer! 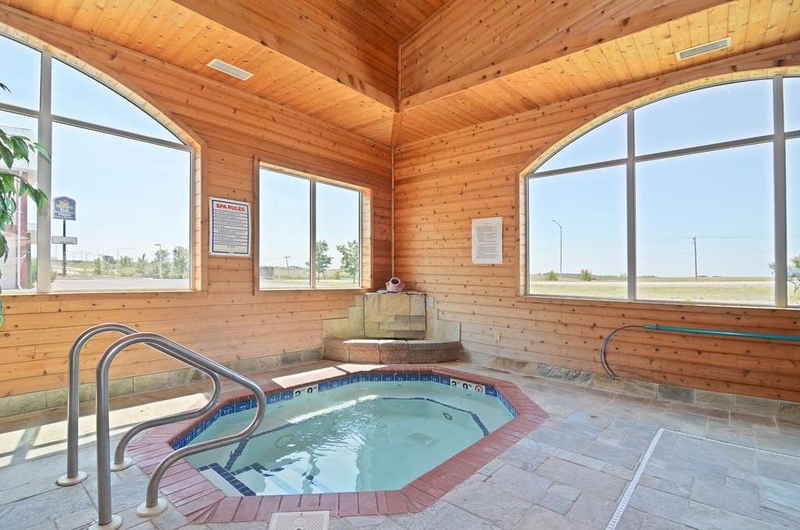 It even had a hug Jacuzzi tub! The room was great, but the fold out couch was horrible. It was more comfortable to sleep on it folded up as a couch - which we did the second day. The maid never came to clean the room or provide more towels on our second day -so we had to ask the desk for towels - which was difficult, because every time we went through the lobby - the front desk was vacant. All in all an ok stay, but might look elsewhere for next year. "Upgrading my review from last year! Very clean, good service." We stayed at this hotel a year ago and I found it to be just okay, but this year I was very impressed. Last year we stayed in the second building, which didn't feel as nice, but this year we were in the main building and the room was great. It was very clean and the beds were comfortable. The breakfast room was clean and well-maintained. Even though I don't worry about gluten-free, I noticed that there were specific gluten free items available. Also, I had made a mistake with my booking (totally my fault) and the person at the front desk was very helpful with getting us in the right room type. I would definitely stay here again. The room was very clean. I was surprised how much room I had. I understand the room was handicapped accessible even though I don't need it or asked for it. But felt the room had a lot of unused space. The front room only had a desk. Which I was happy to have for my work. But there were no comfortable chairs or sofas to watch TV from as well. The bedroom had it's own TV, a bit smaller than the other room. The bed was quite comfortable but I would have preferred watching television from a sofa and not a desk chair or the bed. Overall the room was nice and the air conditioning worked great! 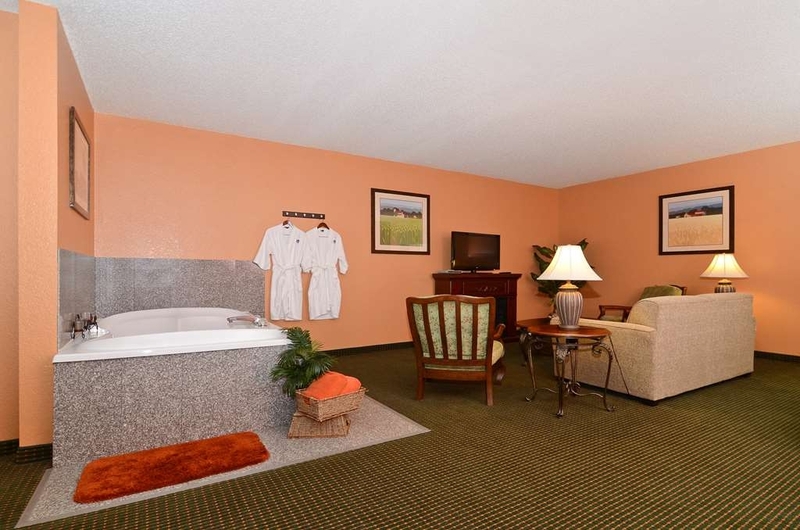 We had several rooms booked for a family baseball. 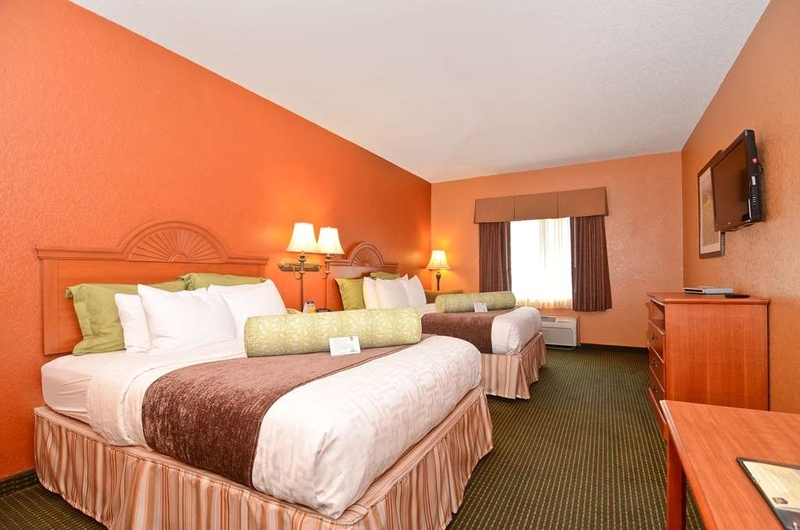 The beds and pillows were comfortable, the rooms were clean and the staff was friendly.The rates were more reasonable than other hotels in the area. 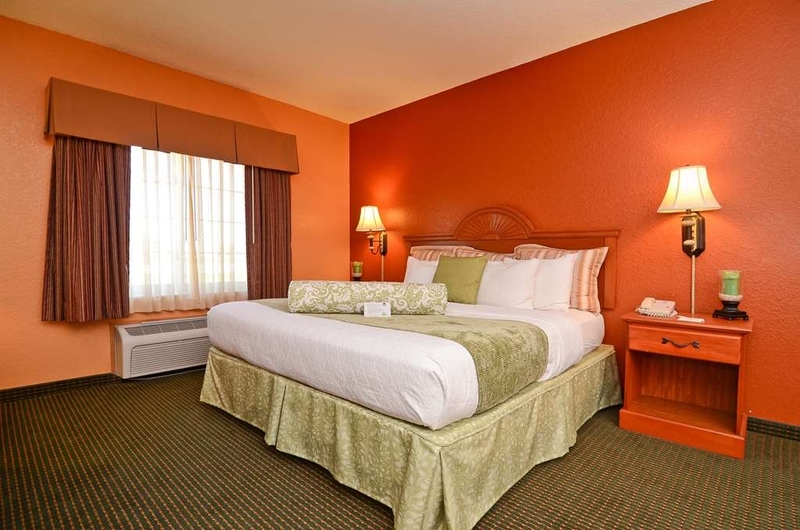 I would definitely stay again and recommend the Grinnell best western hotel to family and friends. WOW what a disappointment. Check in 3:00 and didn't get room til 3:30. Wrong room type. Sorry no other rooms available. Hotel overbooked traveling Little League Teams. Beer parties in the parking lot at least 5. Kids running loose. Ice machines trashed by traveling teams. Spilled beverages on the Lobby area. The weeds need trimed. The staff is friendly and very helpful.i like this hotel because of 100% smoke free. The rooms are clean. The breakfasts are good and plentiful. overall the hotel was quiet and the beds were comfortable. Thank you for completing the survey regarding your recent stay at our property. Your business is very important to us and we value your feedback. By telling us what you liked about your stay and how we can improve, you are helping us deliver a superior experience for you and other guests in the future. We hope you will come back and see us again soon. If I can be of assistance in the future, please don't hesitate to contact me at 641-236-6116 or [email protected] Thank you again for taking the time to complete the survey. We appreciate your loyalty to our brand. A nice quite clean motel. I spent 2 night here while attending Brownells Open House that's located right across the road form this Best Western. My room was equipped with a king size bed, in room microwave, refrigerator, and a coffee maker. Desk area was adequate, with a lamp with plugin to recharge my phone or laptop. 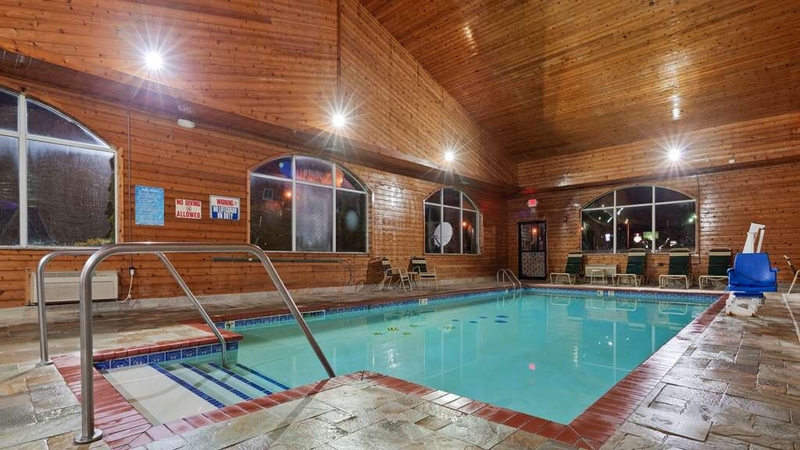 This location has a pool and fitness center, neither of which I used. Plenty of hot water, and the shower drained without any backup's. This is my pet peeve, to stand in dirty shower water. Not in my room. Staff was friendly and answered any questions I had,. Plenty of FREE parking. This location allows pets, no in room smoking. Which I like. If I need to stay in this area again, this will be my first selection. "on my way to CA." Stayed two nights on the first floor of the main building. Hotel has two floors and two buildings with parking area in between. 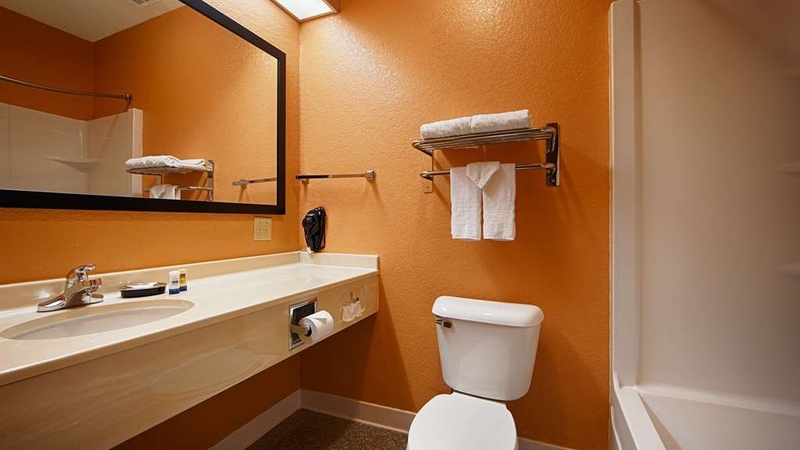 Clean and very comfortable room with all typical amenities: fridge, wide screen TV, and microwave. Free wifi which was slow to moderate, probably based upon local usage. Friendly and welcoming staff. 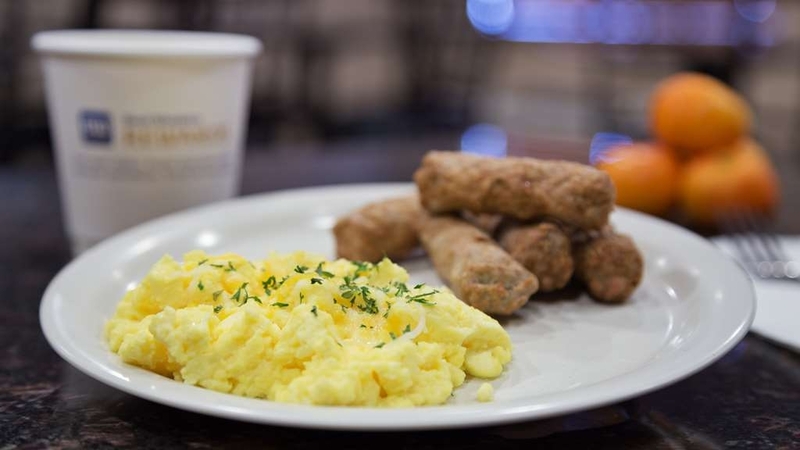 Breakfast includes: make your own waffles, scrambled eggs, sausage or ham, fruit, yogurt, juice, coffee, dry cereal choices, bread and bagels, etc. Easy access to gas stations and lots of restaurants for a range of dining choices from chain to independent restaurants. "Midnight at the...Oasis of the Prarie?" Pulled off at the Grinnell exit of I-80 around midnight when I was so tired I didn't feel I could safely push through to Des Moines on my way back home from New York. Had a number of choices for lodging. Chose the Best Western because of past history with the chain. This one had seen better days. Some upgrades had been done in the lobby and the main building, but my family and I got a room in the second (unattached) building. It was a 2-room suite and we got it at a discounted price. It had all the amenities: 2 TV's, refrigerator, 2 queen sized beds, etc.. But it had only 3 working lights, though lamps were scattered throughout the rooms. Clean but worn would be the way I'd describe the rooms. it had been repainted in the recent past, but not by professionals. Beds were clean and comfortable, bathroom was clean and well stocked. The breakfast the next morning was complimentary, and that area has also been recently and professionally refurbished. The staff was friendly, courteous and helpful. The breakfast choices were plentiful. Great hotel for the price! I have no idea why it only has a 3.5 on Trip Advisor. It is a beautiful hotel at a great price. We called in to Best Western to check price but got a better price when we walked in the door. I would highly recommend this hotel. I called some hotels within 20min radius and they were $170+. This one was a lot better price, pet friendly, and walking distance to a nice steak house. The only thing I did not like was the eggs for breakfast. The rest of the breakfast was good. The staff was nice, and the pool looked good. Overall not a bad place. Usually our stays at Best Western are non-eventful, which is a good thing. However, as well-kept as this location was, it seemed as though there was one let-down after the other. Upon arrival, after lugging our luggage upstairs, we had to move rooms downstairs because several essential things were not working, most importantly the toilet and lamps. Upon waking, we found that the full breakfast for vegans and gluten-free restrictions included whole non-organic fruit; that was it. We had to go elsewhere for breakfast the other two mornings. Upon returning at 6:30 pm after the first full day, we found that housekeeping hadn't touched our room and when I inquired as to when that would happen, we were told in a round-about way that it wouldn't happen until the next day. Apparently, the housekeepers are there only in the morning so if you miss the window when they are at your door, you will not receive service the rest of the day; it seems that this is the fault of the hotel, not housekeeping, due to part-time needs. Finally, despite keeping the key cards in the metallic holder they give out and keeping the keys away from anything magnetic, they continued to not work. "Best hotel in Grinnell, iowa"
What a great hotel in Grinnell, iowa. We stayed here while touring Grinnell College with our teenagers. Highly recommended. We got a big room with 2 beds and pull-out couch and it was a fantastically spacious room. The pool, hot tub clean and nice.and dining areas were spotlessly clean and very nice. The breakfast was yummy. And there were free cookies! As far as comfort goes staying at this hotel was like being at home. The staff went out of their way to make me comfortable. The fitness center was small but adequate. The pool and jacuzzi were clean and refreshing. The rooms were clean and spacious. Considering the circumstances, we were returning from a family bereavement trip. We did highlight Grinnell on the IA map as a place to consider again. We slept well. The odor was somewhat overwhelming, but you have no control over that situation. We arrived late at night on a spur of the moment trip and were welcomed by a very friendly desk staff and phenomenal cookies and other baked goods. Our room was spotless and very nice. They had a bunch of very soft pillows and they were amazing. We had a very nice stay and would enjoy to stay with Best Western again soon!!! There are two bldgs and we got the older one...looked like it had been a hispanic them motel with a lot of space and jacuzzi in our room . ; Room was very large, actually 2 rooms with two baths. We were thankful to find a place because the hunting season had many motel full. The room smelled awful, and if I opened the window we were next to a freeway gas station open 24 hours, with lots of traffic and door slamming all night long. The bed was terrible, the pillows were terrible, the carpet was of questionable age, and the ceiling was crumbling. I heard every footstep in the halls and every door open and close all night long. I was in another building from the lobby, where the rooms may have been better. 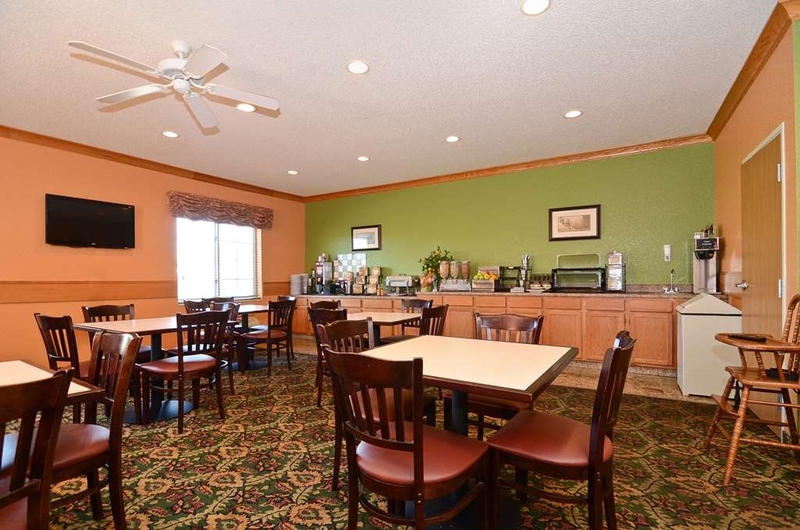 There are better looking options in Grinnell, like the Comfort Suites or Country Inn. I will be staying there in the future. "About as good as you find in the middle of Iowa"
This location is about halfway for me to my destination in Lincoln Nebraska. Sometimes I get a late afternoon start and this is about as far as I want to drive. After you pass Iowa City coming from the east, there is not much better place to stay for quite a while. I stayed twice in the last week. I was there during the water flushing period, but this was not the hotel's fault. The beds are comfortable, large, and clean I stayed in Rooms 313 and 315. The breakfast is decent for hotels in this price range. It is buffet style, but does have enough protein for those of us who need it. There are places that could use a little touch-up painting. They do have a washer and dryer. There are not many eating options immediately around the property. You have to go into town if you want a decent dinner. I want to thank you for taking the time to complete the survey. All feed back is welcomed and will help use to continually improve. If we can assist you in the future please feel free to contact use directly at the hotel. This hotel has two buildings; one which is newer and one which is an older building with a poor attempt at rehabilitation. BE SURE TO INSIST on the newer building if you choose to stay there at all. I cannot attest to the conditions of the rooms in the newer building; this review is based on our one night stay in the older building. 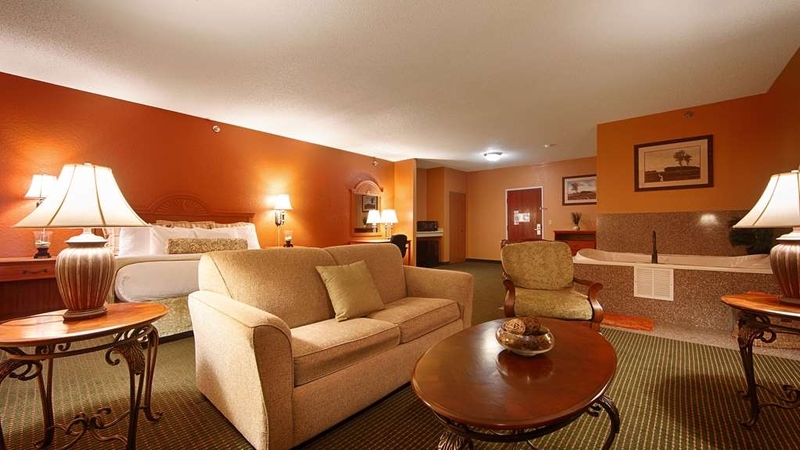 I chose this hotel for the two room suite, to accommodate our family of five. 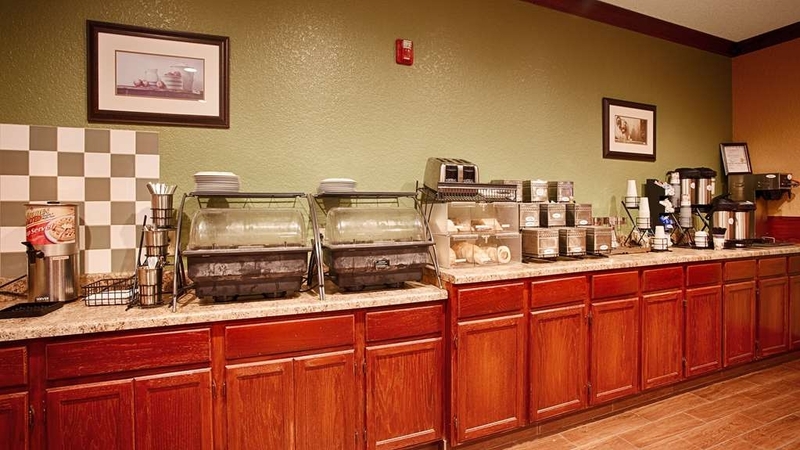 We travel frequently, and often stay at Homewood Suites. I thought this would be comparable, based on positive reviews. We checked in around 11pm, in the pleasant lobby in the newer building. We were then told that our room was in the "building across the parking lot". I had a foreboding feeling as we lugged our bags back outside across the parking lot and into the other building. The first thing that struck us was the horrible smell as we walked into the foyer of this building. My husband thought it smelled like pee, I thought maybe old smoke and mold. Things went from bad to worse upon entering our room: 1. large, dark stain on the carpet in main room 2. room REEKED of old smoke and musty carpet 3. opened door to TINY bathroom and STRONG odor of SEWAGE was present Too tired to pack up family of 5 and had to leave again early next morning. Opened windows and turned fans on AC to high and went to bed. 4. Got up early to shower--water came out ORANGE and REEKED. Ran the water for a couple of minutes to see if it would run clear, however, the tub began to fill with the orange water--tub did not drain! YUK! 6. Ceiling fan THICK with dust. I went across the parking lot to talk to the front desk clerk about the water and drain problems. She said "the lines had been flushed" recently, but they should be okay now. When I told her they were not she shrugged. When I told her the other building smelled and had dirty carpet, she responded by telling me that the building was solid cinder block and that it was the best place to be in a storm(not typically how I choose my hotels...) She then went on to say that I had gotten a good price on the the room so there was nothing she could do. Oh man....Our family couldn't wait to get out of that smelly, nasty place. I didn't WANT anything except for an "I'm sorry, we'll take care of that". I also want to warn future customers. Dear Guest, Thank you for taking the time to complete survey all though your stay was not up to your expectations we will take all of it into consideration and send it to the appropriate departments. The local Fire Department did come out and flush the main water lines and yes it does turn the water a yellow color but never has it ever had an Oder or was it ever unsafe to use. As for the Smoke smell, we do have smoking rooms on the top floor of that building and yes sometimes you will get a smell of smoke and I do apologize for that we are trying our best to keep the smell out. The Front Desk Associate did tell you about the water and apologize to you for your stay not meeting your expectations and offer to add bounce points to your rewards account. Again we are sorry we did not meet your expectation and hope you will come again. My wife accompanied me on a business trip. We stayed 2 nights and it was great. We enjoyed our stay. We were pleased with the free breakfast and the pool area was very fun. The area is quiet. There is a Subway that you can walk to and a steak house. It is right off the highway. We will be staying there again if I am in the area. Thank you for staying with us! We appreciate the opportunity to earn your business. If there was any way in which we could have improved your experience, please contact us personally. "Great place to stay in Grinnell"
The staff was awesome. The rooms were great. My family was the purpose of my visit and not having to deal with sleeping and eating issues made the trip an extremely wonderful experience. Loved the great breakfast. Only downside were the bathroom fans, they are way too noisy for a hotel.Thank you all for making this a wonderful memory. The quiet room requested was not the noisy one we got right next to the laundry room. Beds were hard. Water in the hot tub came to chest level, leaving neck and shoulders very cold. Breakfast was a disaster. A number of people complained about the extremely weak coffee, but the response was "I don't even drink coffee, so I just make it whatever." Waffles and yogurt not any better. Powdered eggs were a joke. Next time we'll drive a little further and get a good room and at much lower price. "The worst Besrt Western Motel We've ever stayed in"
Recently on our way home from Yellowstone National Park my husband & I stopped at the Best Western in Grinnell, Iowa. The desk staff we're very nice & we have no complaints about them. Our room was another thing. The carpeting looked like it hadn't been vacuumed in weeks. It smelled horrible(& I MEAN HORRIBLE). There we're dead bugs in the bathroom on the floor.....soap stuck in the sink drain so it wouldn't drain properly. We stayed in several Best Westerns on this vacation & all we're very clean & nice. Best Western needs to check into there hotels from time to time to make sure they're up to their standards. 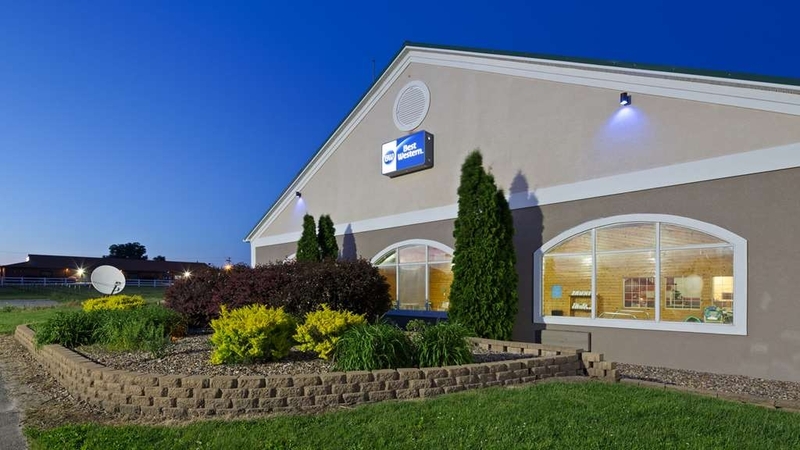 I've never written a negative review. .
"Nice Stay at Best Western in Grinnell, IA"
Expected quality at a BW. Restaurant and bar next door is convenient when traveling on motorcycle. Price was reasonable and had a friendly staff. Breakfast was good and available before normal starting time. Would recommend for those traveling to this area or for an overnight while traveling I-80.